CLGFC Minor B final Roscommon v Leitrim, 13th April 2019. Kilkerrin/Clonberne Mini exhibition game 13th April 2019. CLGFC Minor Championship Galway v Mayo 13th April 2019. CLGFC U-16 Championship Galway v Mayo, 13th April 2019. CLGFC U-14 Silver final Roscommon v Sligo, 13th April 2019. CLGFC U-14 Gold final Mayo v Galway, 13th April 2019. CLGFC U-16 B final, Roscommon v Sligo, 6th April 2019. CLGFC U-14 championship stage 1, Galway, Mayo, Roscommon & Sligo, 30th March 2019. Lidl CLGFC PPS D final, Castlerea CS v St. Cuans College Castleblakeney, 26th March 2019. Lidl CLGFC PPS U-14 C final, St. Louis CS Kiltimagh v Colaiste Iognaid Galway, 13th March 2019. Lidl CLGFC PPS U-14 B final, Colaiste Bhaile Chlair v Glenamaddy CS, 6th March 2019. Lidl CLGFC PPS Senior C final, St. Nathys College Ballaghaderreen v St. Clares Comp Manorhamilton, 28th February 2019. Lidl CLGFC PPS Junior C final, Ursuline College Sligo v Colaiste Einde Galway, 13th February 2019. Lidl CLGFC PPS U-14 C Pres Rd, Mercy Sligo v St. Joseph's SS Castlebar, 11th February 2019. CLGFC 2018 Awards Presentation night, 9th February 2019. Lidl CLGFC PPS Junior B final, St. Clares Comp Manorhamilton v Glenamaddy CS, 9th February 2019. Lidl CLGFC PPS Junior A final, Colaiste Bhaile Chlair v Sacred Heart Westport, 1st February 2019. Lidl CLGFC PPS U-14 A final St. Attractas CS Tubbercurry Co. Sligo v Sacred Heart Westport Co. Mayo, 24th January 2019. CLGFC Lines People & Umpires training course at Connacht GAA Centre 27th January 2019. CLGFC Level 3 at Connacht GAA Centre, 27th January 2019..
Lidl PPS Interprovincial Tournament 26th January 2019. LIDL CLGFC PPS Snr A Final Presentation College Tuam v Scoil Bhride Mercy Tuam, 15th Jan 2019. CLGFC LIDL SNR B PPS 2019 Final, Colaiste Bhaile Chlair v St. Attracta's Tubbercurry, 18th Dec 2018 at Swinford Amenity Pk. 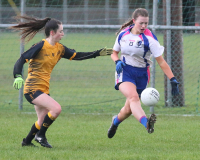 CLGFC Mnr Club C'ship Final, Kilkerrin Clonberne v Swinford Killasser in Clonberne Sports Field, 25th November 2018. Lidl PPS Jnr B Rd 3, Glenamaddy CS v St. Josephs Castlebar at An Sportlann Castlebar, 21st Oct 2018. CLGFC Int club c'ship SF, Westport v St. Marys Tulsk in Swinford Amenity Park, 21st October 2018. CLGFC Jnr Club c'ship SF, Tourlestrane v Cill Chomain in Belmullet GAA Pitch, 20th October 2018. CLGFC Mnr QF Kilkerrin Clonberne v Shamrock Gaels Sligo, 14th October 2018. LGFA TG4 Rd 3 Snr Championship Galway v Westmeath in Duggan Park Ballinasloe Co. Galway, 28th July 2018. LGFA U-16 A Al Ireland final Galway v Kerry in Toomevara Co. Clare, 25th July 2018. LGFA U-16 B All Ireland final Mayo v Laois in Duggan Park Ballinasloe Co. Galway, 25th July 2018. LGFA Mnr A Final Galway v Cork in Gaelic Grounds Limerick 15th July 2018. LGFA TG4 Rd 1 Div Mayo v Cavan in Clones 14th July 2018. LGFA U-16 B All Ireland SF Mayo v Armagh at Mullahoran Co. Cavan, 4th July 2018. LGFA Mnr B SF Roscommon v Antrim in Monaghan Harps, 30th June 2018. LGFA Mnr A All Ireland SF Galway v Cavan in Moate Co. Westmeath, 30th June 2018. CLGFC TG4 Snr Championship Final Galway v Mayo in Elverys McHale Pk Castlebar Co. Mayo, 24th June 2018. CLGFC TG4 Int Championshop Final Roscommon v Sligo in Elverys McHale Pk Castlebar Co. Mayo 24th June 2018. LGFA U-14 B All Ireland Final Mayo v Tipperary in Duggan Pk Ballinasloe Co. Galway, 17th June 2018. CLGFC G4M + Others Blitz at Connacht GAA Centre, 16th June 2018..
LGFA U-14 All Ireland SF Mayo v Antrim in Coralstown Kinnegad on 27th May 2018. CLGFC Adult 7's winners and runners at Connacht GAA Centre 26th May 2018. CLGFC Adult 7's Blitz games and teams at Connacht GAA Centre, 26th May 2018..
CLGFC TY Day 2 at Mount St. Michael Claremorris Co. Mayo May 2018. LGFA New Rules Procedures Workshop at Connacht GAA Centre, 22nd May 2018. CLGFC TY Day 2 at Sacred Heart School Westport Co. Mayo, 22nd May 2018. CLGFC Day 2 TY in An Cheathrua Rua, 15th May 2018. 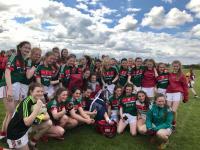 LGFA U-14 All Ireland Blitz Div 2 winners Mayo v Wexford, 12th May 2018. CLGFC U-16 A Final Galway v Mayo in Dunmore MacHales Co. Galway, 11th May 2108. CLGFC Accelerate Module No 4 at Connacht GAA Centre, 10th May 2108. CLGFC TY Day 2 at Castlerea Community School Co. Roscommon, 10th May 2018. CLGFC TY Day 2 at Convent of Mercy Roscommon, 8th May 2018. Glaway LGFA PPS Sweeney Oil U15 Cup Final St.Pauls Oughtard v Calesanctius Collage Oranmore, April 2018. Glaway LGFA PPS Sweeney Oil U15 Shield Final Presentation Collage Headford v Saint Enda Salthill, April 2018. 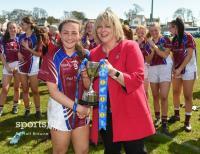 Glaway LGFA PPS Sweeney Oil U17 Cup Final Presentation Collage Headford v Salerno Collage Galway, April 2018. Glaway LGFA PPS Sweeney Oil U17 Shield Final Ard Scoil Mhuire Ballinasloe V Calesanctius Collage Oranmore, April2018. Galway LGFA PPS U13 Shield Final Salerno Secondary School Salthill v Presentation Collage Tuam, April2018. Galway LGFA PPS U13 Sweeney Oil Cup Final Colaiste Bhaile Chlair v Presentation Collage Headford, April 2018. CLGFC U-14 A final Galway v Mayo at Davitts GAA Pitch Ballindine, 7th May 2018. Lidl LGFA NL Div 1 final Mayo v Dublin at Parnell Park Dublin, 6th May 2018. CLGFC U-16 C final Leitrim v Sligo at Connacht GAA Centre, 4th May 2018. CLGFC U-16 B final Mayo v Roscommon at Connacht GAA Centre, 4th May 2018. CLGFC U-14 C final Sligo v Leitrim at Swinford Amenity Park Co. Mayo, 29th April 2018. CLGFC U-14 B final Mayo v Roscommon at Swinford Amenity Park Co. Mayo, 29th April 2018. CLGFC Mnr C final Sligo v Leitrim at Swinford Amenity Park Co. Mayo, 28th April 2018. CLGFC Mnr A final Galway v Roscommon at Swinford Amenity Park Co. Mayo, 28th April 2018. HEC All Stars & Rising Stars for 2018, 6th April at Croke Park . 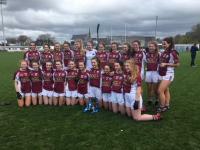 Lidl LGFA PPS Jnr B All Ireland Final Colaiste Bhaile Chlair Claregalway v St. Brigids Killarney, 21st April 2018. Lidl LGFC NL Div 1 SF Galway v Dublin in Coralstown Kinnegad Co. Westmeath, 22nd April 2018. 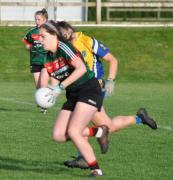 Lidl LGFA NL Div 1 SF Mayo v Cork at St. Brendans Park Birr Co. Offaly, 22nd April 2018. CLGFC U-16 C'ship Mayo v Roscommon in Swinford Amenity Park, 20th April 2018. CLGFC TY Day 2 at St. Joseph's Secondary School Castlebar Co. Mayo. 18th April 2018. CLGFC Mnr Mayo v Roscommon in Swinford Amenity Park, 14th April 2018. Lidl LGFA PPS Snr C All Ireland Final Colaiste Bhaile Chlair Claregalway v Scoil Mhuire Trim Co. Meath, 14th April 2018. Lidl LGFA PPS Snr B All Ireland Final Glenamaddy CS v Presentation College Thurles in Coralstown-Kinnegad, 15th April 2018. CLGFC Minor C'ship B Final Roscommon v Sligo at Connacht GAA Centre, 11th April 2018. Lidl CLGFC U-14 B PPS final Ursuline College Sligo v Colaiste Bhaile Chlair Claregalway, 11th April 2018. Lidl NL Div 1 Rd 5 Mayo v Monaghan at Swinford Amenity Park, 8th April 2018. CLGFC U-14 C'ship Leitrim v Roscommon at Connacht GAA Centre, 8th April 2018. CLGFC U-14 C'ship Mayo v Sligo at Connacht GAA Centre, 8th April 2018. CLGFC Minor C'ship Mayo v Galway at Swinford Amenity Park, 7th April 2018. CLGFC U-16 C'ship Mayo v Sligo in Swinford Amenity Park, 4th April 2018. CLGFC U-16 C'ship Roscommon v Sligo in Kilmore 30th March 2018. CLGFC U-14 C'ship Mayo v Roscommon in Swinford Amenity Park, 2nd April 2018. Lidl LGFA NL Rd 7 Mayo v Donegal in Swinford Amenity Park, 31st March 2018. CLGFC U-16 C'ship Leitrim v Mayo at Pairc Sean MacDiarmada Carrick-on-Shannon, 30th March 2018. Lidl LGFA Nl Galway v Dublin at Abbotstown GAA COE, 25th March 2018. CLGFC U-14 County blitz tournament at Connacht GAA Centre, 25th March 2018. CLGFC Mnr Championship Roscommon v Leitrin in St. Croans Ballintubber Co. Roscommon, 19th March 2018. 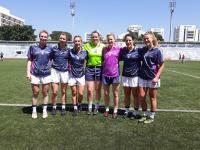 LGFA & TG4 2018 All Star Tour in Bangkok. Lidl NL Div 1 Mayo v Dublin in Elverys McHale Park Castlebar, 24th February 2018. CLGFC Mnr Championship Sligo v Roscommon in Tourlestrane, 10th March 2018. Lidl CLGFC Snr D SF St. Cuans Castleblakeney v Davitts College Castlebar at Ml Glaveys Ballinlough, 8th March 2018. Lidl CLGFC Jnr C Final St. Clares Comprehensive School Manorhamilton v Ursuline College Sligo, 6th March 2018. CLGFC TY course Day 2 in Colaiste Mhuire Ballygar Co. Galway, 28th February 2018. Lidl NL Rd 4 Roscommon v Wexford in St. Patricks Pk Wexford, 25th February 2018. CLGFC G4G Training Course in Ml Glaveys Ballinlough Co. Roscommon, 27th February 2018. Lidl CLGFC PPS Snr C Final, Colaiste Bhaile Chlair Claregalway v St. Clares Comp Manorhamilton Co. Leitrim, 26th February 2018. Lidl CLGFC Jnr C PPS SF St. Calare Comp Manorhamiltin v Ballyhaunis CS at Swinford Amenity Pk Co. Mayo, 22nd February 2018. CLGFC PPS TY Day 1 Course at St. Joseph's Secondary School Castlebar Co. Mayo, 20th February 2018. CLGFC PPS TY Day 2 Course at St. Joesph's Secondary School Foxford Co. Mayo 20th February 2018. Lidl CLGFC Jnr C SF Ursuline College Sligo v Colaiste Einde Salthill Galway in Swinford Amenity Park, 19th February 2018. Lidl CLGFC PPS Jnr C QF Ballyhaunis CS v St. Cuans Castleblakeney at Connacht GAA Centre, 19th February 2018. LGFA NL Rd 3 Galway v Mayo in Pearse Stadium Galway, 11th February 2018. 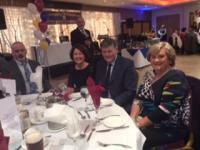 CLGFC Inaugural Awards Presentation Night in Park Hotel Kiltimagh Co. Mayo. 10th February 2018. Lidl CLGFC Jnr B Final Colaiste Bhaile Clhair v Glenamaddy at Connacht GAA Centre, 2nd February 2018. CLGFC TY Day 2 Presentation College Currylea Tuam Co. Galway, 9th February 2018. Lidl CLGFC U-14 B QF Ursuline College Sligo v Convent of Mercy Roscommon at Swinford Amenity Park, 5th February 2018. Lidl CLGFC PPS Snr A Final Presentation College Currylea Tuam v Convent of Mercy Roscommon, 30th January 2018. Tumble Jungle Ballina presentation to CLGFC for PPS Interprovincials 28th January 2018. 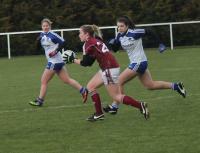 LGFA Lidl NL Rd 1 Galway v Monaghan at Connacht GAA Centre, 28th January 2018. LGFA Lidl NL Rd 1 Mayo v Westmeath at Swinford Amenity Park, 28th January 2018. LGFA PPS Interprovincials Sheild All Ireland Final Connacht v Leinster, 27th January 2018. LGFA PPS Interprovincials Connacht v Ulster, 27th January 2018. LGFA PPS Interprovincials Connacht v Leinster, 27th January 2018. LGFA PPS Interprovincials Connacht v Munster, 27th January 2018. Lidl CLGFC PPS Jnr A Final Presentation College Currylea Tuam v Sacred Heart Westport at Swinford Amenity Pk, 23rd January 2018. CLGFC Mentors Workshop at Connacht GAA Centre, 22nd January 2018. CLGFC College-County Winter Leage Final Galway v Mayo at Connacht GAA Centre, 21st January 2018. CLGFC Lines People & Umpires training course at Connacht GAA Centre, 21st January 2018. CLGFC Level 3 at Connacht GAA Centre, 21st January 2018. CLGFC Lidl U-14 A Final St. Attractas CS Co. Sligo v Sacred Heart School Westport Co. Mayo 18th Jan 2018. CLGFC Lidl Snr B Final Glenamaddy CS Co. Galway v Mt St Michael Claremorris Co. Mayo @ Connacht GAA Centre 18th Jan 2018. CLGFC TY Programme Presentation Currylea Tuam Co. Galway 18th Jan 2018. CLGFC TY Programme St. Joseph's SS Foxford Co. Mayo 15th Jan 2018. CLGFC PPS Squad v Mayo at Connacht GAA Centre, 7th January 2018. CLGFC PPS trials 16th December 2017. Fiona McHale Carnacon/Mayo receiving the Croke Park player of the month for December 2017. CLGFC Minor Club Championship final Corofin v Glencar Manorhamilton, 9th December 2017. LGFA Senior Club C'ship Final Carnacon v Mourneabbey Cork, 3rd December 2017. Roscommon LGFA Development Launch 3rd December 2017. CLGFC Referees Accelerate Programme module 2, 30th November 2017 at Connacht GAA Centre. Lidl CLGFC PPS Snr D Balla SS v Ballinrobe CS, 27th November 2017. Lidl CLGFC PPS Snr C St. Joseph's SS Foxford v Ballyhaunis CS, 27th November 2017. 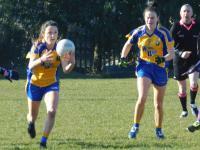 CLGFC Mnr Club C'ship SG Glenacr Manorhamilton Leitrim v Clann na nGael Roscommon, 26th November 2017. LGFA & TG4 All Stars, 25th November 2017. Pilot Program ''EX-celerate'' at Elphin Seconday School Co. Roscommon 2017. LGFA Snr Club C'sip SF Carnacon v St. McCartans Tyrone, 19th November 2017. Sligo U-13 & U-14 Development Squad training, 18th November 2017. LGFA Jnr Club All Ire SF Tuam Cortoon v Aghada Co. Cork, 19th November 2017. Corofin winners of Shane O'Neills, Camlough Minor 7-a-side All Ireland 30th September 2017. 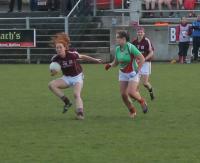 LGFA U-21 Aisling McGing All Ire Championship Final Galway v Mayo at St. Croans GAA Pitch Ballintubber Co. Rosc, 12th Nov 2017. LGFA TY Day 2 Castlerea CS Co. Roscommon 10th November 2017. CLGFC Minor Club Championship QF Corofin/Galway v Swinford-Killasser/Mayo, 11th November 2017. CLGFC TY Day 1 @ Colaiste Mhuire Ballygar Co. Galwau, 8th November 2017. CLGFC Senior Club C'ship Final Replay Carnacon v Kilkerrin/Clonberne in Ballyhauinis GAA Pitch Co. Mayo, 5th November 2017. CLGFC Day 2 TY programme at Scoil Muire & Padraig Co. Mayo. CLGFC Snr Club C'ship Final Carnacon v Kilkerrin Clonberne, 29th October 2017. CLGFC Jnr Club C'ship Final Tuam Cortoon v St. Marys Tulsk, 28th October 2017. CLGFC Int Club SF St. Marys Sligo v Western Gaels Roscommon in Curry/Moylough, 15th October 2017. CLGFC Snr Club SF Carnacon v Kilbride in Four Mile House Kilbride, 13th October 2017. CLGFC Jnr Club Championship SF Tuam Cortoon v Coolera Strandhill in Swinford Amenity Park, 7th October 2017. CLGFC Jnr Club Championship SF St. Marys Tulsk v Claremorris in Ml Glaveys, 7th October 2017. CLGFC Referee Asseccors course at Connacht GAA Centre, 4th October 2017. 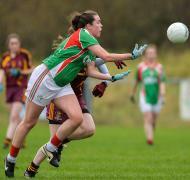 CLGFC Int Club Championship QF Maigh Cuilinn v Oughteragh Gaels, 1st October 20217. CLGFC Jnr Club Championship QF St. Marys Tulsk v Bornacoola-St. Marys in Orchard Park Elphin, 30th September 2017. CLGFC Referees Accelerate Programme module 1, 30th September 2017 at Connacht GAA Centre. CLGFC U-13 & U-15 Dev Counties of Galway, Mayo & Roscommon Squad Blitz at Connacht GAA Centre on 10th September 2017. 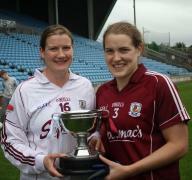 TG4 All Ireland QF Galway v Cork on 19th August in Cusack Pk Mullingar Co Westmenth included is Galway's mini game team. LGFA U-16 All Ireland Final Galway v Cork, 26th July 2017 at McDonagh Pk Nenagh Co. Tipperary. LGFA U-14 A All Ireland Final Galway v Kerry, 1st July 2017. TG4 Snr All Ireland SF Mayo v Cork in Breffni Park Cavan, 2nd September 2017. CLGFC GYW Level 2 at Ros Muck GAA Grounds, 17th August 2017. CLGFC GYW Level 2 at Connacht GAA Centre 8th August 2017. 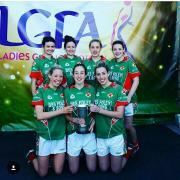 CLGFC TG4 Senior C'ship Final Galway v Mayo at Elverys McHale Park Castlebar Co. Mayo 2nd July 2017. CLGFC TG4 Intermediate C'ship Final Sligo v Leitrim at Elverys McHale Park Castlebar Co. Mayo 2nd July 2017. CLGFC HE Bursary Awards 1st July 2017 at Connacht GAA Centre. CLGFC G4G U-10 & U-12 Blitz 1st July at Connacht GAA Centre 2017. CLGFC G4M + Others blitz 1st July @ Connacht GAA Centre. CLGFC Adult 7's winners & runners-up, 10th June 2017. CLGFC Pics during Adult 7's finals, 10th June 2017. CLGFC Adult 7's games, 10th June 2017. CLGFC Adult 7's teams that participated, 10th June 2017. Mayo v Cavan challenge at Connacht GAA Centre, 9th June 2017. LGFA U-14 A SF Galway v Dublin, 4th June 2017. Mayo v Leitrim challenge game, 2nd June 2017. CLGFC U-16 B play off Roscommon v Sligo, 2nd June 2017. Galway LGFA PPS Championship Finals, 23rd May 2017. St. Angela's NS Castlebar training, 1st June 2017. CLGFC U-10 Blitz at Connacht GAA Centre, 27th May 2017. CLGFC U-16 B Final Mayo v Sligo, 19th May 2017. CLGFC U-14 A Final Galway v Roscommon, 19th May 2017. CLGFC TY Day 2 Convent of Mercy Roscommon, 12th May 2017. CLGFC U-14 B Championship. Sligo v Mayo 7th May 2017. CLGFC G4G in Melvin Gaels Leitrim, 10th May 2017. TG4 CLGFC Intermediate & Senior Launch, 3rd May 2017. CLGFC U-14 A Championship Final Galway v Leitrim, 7th May 2017. CLGFC Mnr B Championship Final Mayo v Sligo. 1st May 2017. Lidi CLGFC PPS U-14 C Shield final Scoil Mhuire Strokestown v Jesus & Mary Gortnor Abbey Crossmolina, 27th April 2017. CLGFC G4G in Ballinasloe, 24th April 2017. CLGFC G4G in Kilmoremoy, 14th April 2017. CLGFC Mnr C'ship Galway v Sligo. 15th April 2017. CLGFC U-14 C'ship Rd 4 Galway v Sligo, 15th April 2017. CLGFC Minor Championship Rd 1 Galway v Mayo in Corofin, 11th April 2016. CLGFC G4G in St. Nathys, 10th April 2017. CLGFC G4G in Elphin Co. Roscommon, 6th April 2017. CLGFC TY Day 2 St. Joseph's SS Castlebar Co. Mayo, 5th April 2017. CLGFC Lidl PPS U-14 C Cup final Colaiste Einde Galway v Salerno Salthill Galway, 28th March 2017. CLGFC TEACH Programme, 21st March 2017. CLGFC U-14 Blitz @ Connacht GAA Centre, 19th March 2017. Lidl CLGFC PPS Group 2 Jnr C Final St. Clares Manorhamiltin v An Ceathru Rua, 16th March 2017. CLGFC TY Day 2 Programme @ Scoil Bhride Mercy Tuam, 10th March 2017. Gaelic4Girls Training evening in Ml Glayey's GAA Complex Ballinlough Co. Roscommon, 28th February 2017. Lidl CLGFC Gp 2 Jnr C Scoil Chuimsitheach Chiarain An Cheathru Rua v Mohill CC, 28th February 2017. Lidl CLGFC U-14 B Final Carrick-on-Shannon CS v Ursuline Sligo, 28th February 2017. Lidl CLGFC PPS Snr C Final Sancta Maria Louisburgh v St. Joseph's Secondary School Foxford, 27th February 2017. Coolera Stanndhill U-Age Award Evening, 19th February 2017. Lidl CLGFC PPS U-14 A Final, Presentation College Currylea Tuam v Sacred Heart Westport in Mayo Abbey, 16th February 2017. Galway v Donegal Lidl NL Div 1 Rd 2 at Tuam Stadium, 5th February 2017. Lidl CLGFC PPS Jnr B Final, Scoil Bhride Mercy Tuam v Carrick-on-Shannon CS in Michael Glaveys Ballinlough, 3rd February 2017. Lidl CLGFC PPS Jnr C Final, Colaiste Bhaile Chlair Claregalway v Calasanctius College Oranmore in Tuam Stadium, 3rd Feb 2017. Lidl CLGFC PPS Jnr A Final, Presentation Currylea Tuam v Holy Rosary Mountbellew in Clonberne, 2nd February 2017. Galway Co Bd Presentation Night, 20th January 2017. 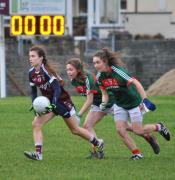 Lidl LGFA NL Div 1 Rd 1 Mayo v Galway in Swinford Amenity Park, 29th January 2017. Lidl CLGFC PPS Snr A Final Presentation College Currylea Tuam v Scoil Bhride Mercy Tuam @ Tuam Stadium, 27th January 2017. CLGFC Umpires & Lines Persons Training at Connacht GAA Centre, 22nd January 2017. CLGFC Referee Level 3 at Connacht GAA Centre, 22nd January 2017. Lidl LGFA PPS Interprovincial Tournament, 21st January 2017. CLGFC College/Winter League Final, 15th January 2017. CLGFC Lidl PPS v Mayo Snr Challenge, 15th January 2017. CLGFC College/County Winter League SF, Galway v Mayo, 8th January 2017. CLGFC Minor Club Championship Final, Corofin v Glencar Manorhamilton, 18th December 2016. PPS trials @ Connacht GGA Centre, 10th December 2016. LGFA Int All Ire Club Final Annaghdown v Shane O'Neills, 4th December 2016. St. Brendans Carol Kelly Memorial Walk fundraiser presentation 3rd December 2016. Roscommon U-Age Presentation on 13th November 2016. TG4 & LGFA All Star & POY Presentations, 12th November 2016. LGFA Junior Club SF Kilmoremoy v Kinsale, 20th November 2016. LGFA Intermediate Club SF Annaghdown v Abbeyside, 20th November 2016. CLGFC TEACH Workshop in Colaiste Mhuirlinne/Merlin College Galway, 16th November 2016. St. Brendans Galway U-14 B county champions v Tuam/Cortoon, 8th November 2016. Four Roads teams during 2016. Kilbride U-6, U-8 and U-10 girls presentation Sunday 6th November 2016 in Kilbride Community Centre. St. Brendans Carol Kelly memorial walk/run 30th October 2016. CLGFC U-17 Academy Dev Blitz @ Connacht GAA Centre, Galway & Sligo, 31st October 2016. CLGFC Int Club Championship Final, Annaghdown v Padraig Pearses in Clonberne Community Pitch, 30th October 2016. CLGFC Jnr Club Championship Final, Kilmoremoy v St. James in Davitt Pk Ballindine, 30th October 2016. 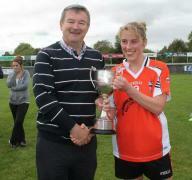 CLGFC Snr Club Championship Final, Carnacon v Kiltubrid in Fr. O'Hara Pk Charlestown, 23rd October 2016. Kilbride Mnr Div 2 county champions v St. Marys, 16th October 2016. CLGFC Int Club C'ship SF Padraig Pearses v Eoghan Rua, 16th October 2016. CLGFC Int Club C'ship SF Annaghadown v Fenagh, 16th October 2016. CLGFC Jnr Club C'ship SF Kilmoremoy v Michael Glaveys, 15th October 2016. CLGFC Jnr Club C'ship SF St. James v St. Patricks, 15th October 2016. CLGFC Lidl POY Awards & Football Presentation to PPS, 12th October 2016. CLGFC Snr Club C'ship SF Carnacon v Kilkerrin/Clonberne, 9th October 2016. CLGFC Int Club C'ship QF Padraig Pearses v Burrishoole, 9th October 2016. CLGFC Snr Club C'ship SF Kiltubrid v Kilbride, 8th October 2016. Coolers Strandhill v Shamrock Gaels in Sligo Mnr C final, 1st October 2016. CLGFC Snr Club C'ship QF Kilbride v St. Nathys, 2nd October 2016. St.Dominicâ€™s LGFA receiving â‚¬1,000.00 from Lidil Ireland in the store competition, presentation 24th September 2016. Corofin Galway Minor A champions v Kilkerrin/Clonberne 17th september 2016. CLGFC U-13 & U-15 development blitzes, 11th September 2016. Annaghdown Galway Int champions v Moycullen 10th September 2016. Kilkerrin/Clonberne Galway Snr champions v Claregalway 10th September 2016. Kilbride Roscommon Snr County Champions v St. Brigids, 17th September 2016. Coolera Strandhill Sligo U12 League winners 2016. TG4 LGFC Snr SF Mayo v Dublin @ Kingspan Breffni Pk Cavan, 27th August 2016. TG4 LGFC Int SF Sligo v Kildare @ Kingspan Breffni Pk Cavan, 27th August 2016. Mayo LGFA Minr A Final Swinford/Killasser v Louisburgh, 24th August 2016. CLGFC Club League final Claregalway v Kilkerrin Clonberne in Tuam Stadium, 24th August 2016. CLGFC U-17, U-15 7 U-13 Academy coaching education training evening workshop on continued participation, 22nd August 2016. Galway U-17 Academy squad at LGFA National blitz in Naomh Mearnog, 16th August 2016. Mayo U-17 Academy team @ LFGA blitz v Kildare in Plate final @ Naomh Mearnog, 16th August 2016. Sligo U-17 Academy team @ LGFA blitz in Naomh Mearnog, 16th August 2016. TG4 LGFA Int QF Sligo v Wexford in Kinnegad Co. Westmeath, 14th August 2016. TG4 LGFA Int QF Leitrim v Kildare in Kinnegad Co. Westmeath, 14th August 2016. TG4 LGFA Snr QF Mayo v Westmeath in Glennon Brothers Pearse Park Longford, 13th August 2016. 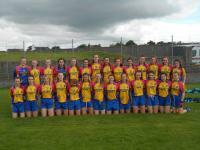 Galway LGFA Jnr Lge Final Kilkerrin/Clonberne v Mountbellew, 23rd June 2016. CLGFC Level 2 @ Connacht GAA Centre, 9th August 2016. Mayo U-8 & U-10 blitz @ Swinford Amenity Park. TG4 Snr Qualifier Galway v Donegal @ Glennons Brothers Perase Park Longford, 1st August 2016. LGFA Minor B All Ireland final Roscommon v Meath @ St. Lomans Mullingar Co. Westmeath, 30th July 2016. Corofin Galway Gaelic4Girls attending National blitz in Croke Park, 25th July 2016. CLGFC Club League SF, Kilkerrin/Clonberne Snrs v Kilkerrin/Clonberne Jnrs, 28th July 2016. Kilmaine Mayo Gaelic4Girls team in Croke Park for National blitz, 25th July 2016. St. Molaise Gaels Sligo Gaelic4Girls at Croke Park blitz, 25th July 2016. Four Roads Roscommon Gaelic4Girls in Croke Park for National blitz, 25th July 2016. Galway County U10 Development Blitz held in Ballygar on Saturday morning 16th July 2016. LGFA Mnr A All Ire SF Galway v Cork in Nenagh, 16th July 2016. LGFA Mnr B All Ire SF Roscommon v Waterford in Nenagh, 16th July 2016. Glenamaddy/Williamstown county U-14 Shield Div 2 winners v Moycullen 2016. LGFA U-16 A All Ire SF Mayo v Kerry, 13th July 2016. TG4 LGFA Int & Snr Championship Launch, 13th July 2016. Kilbride U-12 Div 3A County Champions v Michael Glavey's, 9th July 2016. Galway Int C'ship St. Brendans v Moycullen, 9th July 2016. CLGFC U-11 Mini games @ TG4 Championship Finals @ Elvery's McHale Pk Castlebar, 3rd July 2016. TG4 CLGFC Senior Championship Final Mayo v Galway @ Elvery's McHale Pk Castlebar, 3rd July 2016. TG4 CLGFC Int Final, Sligo v Leitrim @ Elvery's McHale Park, 3rd July 2016. CLGFC Gaelic4Girls teams participating at blitz at Connacht GAA Centre, 2nd July 2016. CLGFC Gaelic4Mothers + Others teams participating at blitz at Connacht GAA Centre, 2nd July 2016. CLGFC Gaelic4Girls blitz at Connacht GAA Centre, 2nd July 2016. CLGFC Gaelic4Mothers + Others blitz at Connacht GAA Centre, 2nd July 2016. St. Brendans LGFC Carol Kelly Memorial 10k/5k Launch, 25th June 2016. CLGFC Club PRO's workshop @ Connacht GAA Centre, 27th June 2016. St. Brendans LGFC hosting the Mary Lohan Memorial Cup, 25th June 2016. CLGFC U-13 & U-15 co-ordinators information evening workshp @ Connacht GAA Centre, 22nd June 2016. County PRO Workshop @ Connacht GAA Centre, 20th June 2016. CLGFC & County Developmet Officers meeting @ Connacht GAA Centre, 20th June 2016. Roscommon club championship launch, 17th June 2016. CLGFC Gaelic4Mothers + Others Information Workshop evening @ Connacht GAA Centre, 15th June 2016. LGFA U-14 C All Ireland SF Sligo v Carlow, 12th June 2016. LGFA U-14 A All Ireland SF Galway v Kerry, 12th June 2016. CLGFC Club winners and runners up in Jnr, Int/Snr in Cups & Shield 7's Tournament @ Connacht GAA Centre, 11th June 2016. CLGFC Jnr, Int/Snr Clubs playing in 7's Tournament @ Connacht GAA Centre, 11th June 2016. CLGFC Jnr, Int/Snr Club teams participating at 7's Tournament @ Connacht GAA Centre, 11th June 2016. CLGFC U-11 Club Development Blitz @ Connacht GAA Centre, 28th May 2016. CLGFC U-16 B Final, Roscommon v Leitrim, 18th May 2016. MMI Interprovincials Connacht v Ulster Cup Final, 21st May 2016. MMI Interprovincials Connacht v Leinster Rd 3, 21st May 2016. MMI Interprovincials Connacht v Munster Rd 2, 21st May 2016. MMI Interprovincials Connacht v Ulster Rd 1, 21st May 2016. CLGFC U-16 A Final Mayo v Galway @ Ballyhaunis GAA Pitch, 18th May 2016. TG4 CLGFC Intermediate Playoff game, Leitrim v Roscommon @ Fr. O'Hara Pk Charlestown, 15th May 2016. CLGFC U-16 Rd 5 championship, Mayo v Sligo, 11th May 2016. CLGFC U-14 A Final Galway v Mayo, 8th May 2016. CLGFC U-14 B Final Roscommon v Leitrim, 8th May 2016. CLGFC TG4 Intermediate C'ship Rd 3 Sligo v Leitrim, 8th May 2016. Lidl NL Div 1 Final Mayo v Cork, 7th May 2016. CLGFC Minor A Final Galway v Mayo, 2nd May 2016. CLGFC Minor B Shield Final Roscommon v Leitrim, 2nd May 2016. Luke Daly Memerial game St. Brendans v Castlerea St. Kevins, 30th April 2016. TG4 CLGFC Intermediate Championship, 30th April 2016. CLGFC U-14 Rd 5 Mayo v Leitrim, 29th April 2016. CLGFC Lidl PPS 1st Yr Bumper Development Blitz @ Connacht GAA Centre, 28th April 2016. Westport LGFA U-14 A Mayo Feile winners, 24th April 2016 @ Connacht GAA Centre. 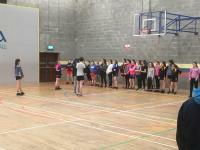 Kilkerrin-Clonberne Gaelic4Girls coaching session, April 2016. CLGFC TG4 Intermediate Championship Roscommon v Sligo, 24th April 2016. CLGFC U-14 championship Leitrim v Galway 22nd April 2016. Lidl NL SF Mayo v Kerry, 23rd April 2016. CLGFC TG4 Snr & Int Championship Launch 7th April 2016. CLGFC U-16 Championship Rd 2 Sligo v Galway, 20th April 2016. St. Brendans team in Galway Feile 9th April 2016. CLGFC U-14 Championship Rd 2 Roscommon v Mayo 9th April 2016. CLGFC U-14 Championship Rd 3 Galway v Roscommon, 15th April 2016. Lidl CLGFC Group 2 Snr C Final Scoil Mhuire & Padraig Swinford v St. Clares Manorhamilton, 7th April 2016. Lidl CLGFC PPS U-14 C Cup Final Ballinamore CS v Calasanctius College Oranmore, 6th April 2016. Lidl CLGFC PPS U-14 C Shield Final Santa Maria Louisburgh v Colaiste Einde Galway, 5th April 2016. CLGFC U-14 C'ship Rd 1 Roscommon v Leitrim, 2nd April 2016. St. Brendans U-10's playing at Tuam Stadium 3rd April 2016. CLGFC U-14 Rd 1 Mayo v Galway, 2nd April 2016. CLGFC Mnr Rd 3 Roscommon v Galway, 28th March 2016. LGFA Monster Bingo night Friday 25th March 2016. CLGFC Mnr Rd 3 Mayo v Leitrim, 25th March 2016. CLGFC U-14 Blitz with Galway, Mayo, Roscommon and Sligo, 20th March 2016. TG4 LGFA 2016 All Star Trip to San Diego with the 2014 & 2015 All Stars, 15th - 23rd March 2016. Lidl LGFA Snr B All Ire Final, John The Bapist Limerick v Holy Rosary Mountbellew, 7th March 2016. Lidl LGFA Jnr B All Ire Final, Killorglin v Presentation College Currylea Tuam, 12th March 2016. Glenamaddy/Williamstown LGFA at St. Patrick's Day Parade promoting LGF. O'Connor Cup winners UCD v UL 12th March 2016. CLGFC Mnr Rd 1 Mayo v Roscommon in Davitt's Ballindine, 13th March 2016. Lidl CLGFC Group 2 Jnr C Final Abbey College Boyle v Colaiste Bhaile Chlair Claregalway @ Connacht GAA Centre, 10th March 2016. Sligo LGFA Connacht Gold Adult Fixtures Launch Night. LGFA National Congress hosted by Sligo LGFA 4th - 6th March 2016 in Diamond Coast Hotel Enniscrone. Louisburgh LGFA Presentsion night 21st February 2016. Lidl CLGFC U-14 B Final, Sacred Heart Westport v Colaiste Bhaile Chlair Claregalway, 8th March 2016. Lidl CLGFC PPS U-14 C SF, Calasanctius College Oranmore v Santa Maria Louisburgh, 7th March 2016. 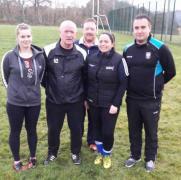 CLGFC Ready Steady Coach training programme in Kilmeena 5th March 2016. CLGFC Gaelic4Girls training evening @ Ml Glavey's Ballinlough, 23rd February 2016. Burrishoole Int club winners @ the Paudi O'Se tournament, 19th - 21st February 2016. 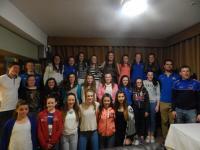 Claregalway Annual Club Night with presentaion to Minor LGF team. 27th February 2016. Lidl LGFA PPS Jnr B All Ireland SF, Presentation College Currylea Tuam v Loreto SS Wexford, 27th February 2016. Strokestown LGFA Prestenation Dinner Dance, 27th February 2016. Lidl CLGFC Group 2 Jnr C Abbey College Boyle v Calasanctius College Oranmore in Ballinlough GAA Pitch, 29th February 2016. Claregalway Snr Club winners @ Paudi O'Se Tournament, 19th -21st February 2016. Lidl LGF NL Rd 4 Div 1, Mayo v Armagh @ Swinford Amenity Park, 28th February 2016. Lidl CLGFC Group 2 Jnr C Calasanctius College Oranmore v Davitt College Castlebar, 23rd February 2016. Sandra Early Memorial game in Kiltubrid GAA pitch, 28th February 2016. Lidl LGFA PPS Snr C SF, Sacred Heart School Westport v Gallen Ferbane Co. Offaly @ Tuam Stadium, 20th February 2016. Lidl LNFL Rd 3 Mayo v Galway in Tuam Stadium, 14th February 2016. Roscommon 2015 Mnr Div 1 Championship Final, Clann na nGael v St. Ciaran's 7th February 2016. Lidl CLGFC PPS Jnr C Final Ard Scoil Mhuire Ballinasloe v St. Nathy's College Ballaghaderreen, 6th February 2016. Lidl CLGFC PPS Jnr B Final Presentation College Currylea Tuam v Holy Rosary College Mountbellew, 2nd February 2016. Lidl CLGFC PPS Jnr A Final Replay Convent of Mercy Roscommon v Glenamaddy Community School, 1st February 2016. Lidl CLGFC PPS Group 2 Snr C Quarter Final Mohill Community College v Ballinrobe Community School. 1st February 2016. Lidl CLGFC PPS Snr C Final Sacred Heart School Westport v Santa Maria College Louisburgh, 1st February 2016. Lidl CLGFC PPS Snr B Final, Holy Rosary College Mountbellew v St. Joseph's SS Foxford, 29th January 2016. Lidl CLGFC PPS Jnr A Fianl, Convent of Mercy Roscommon v Glenamaddy CS, 29th January 2016. Lidl CLGFC PPS Jnr C SF St. Nathy's Ballaghaderreen v Mount St. Michael Claremorris, 25th January 2016. CLGFC Umpire & Lines People Training @ Connacht GAA Centre, 24th January 2016. CLGFC Level 2 Referee Training @ Connacht GAA Centre, 24th January 2016. Lidl All Ire PPS Interprovincial Tournament 2016 Cup Final, Connacht v Munster in Coralstown/Kinnegad 23rd January. Lidl All Ire PPS Interprovincial Tournament 2016, Connacht v Leinster in Coralstown/Kinnegad 23rd January. Lidl CLGFC PPS Gp 2 Snr C Pre Rd, St. Joseph's CS Charlestown v Colaiste Cholmcille Indreabhan in Ballyheane, 19th January 2016. Lidl CLGFC PPS Snr C SF, Santa Maria College Louisburgh v Ballinamore CS @ Ballinlough, 18th January 2016. CLGFC College/County Winter League @ Connacht GAA Centre, 17th January 2016. Lidl CLGFC PPS Interprovincial Training @ connacht GAA Centre, 17th January 2016. Lidl CLGFC PPS Snr A Final Glenamaddy v Scoil Bhride Mercy Tuam in Clonberne, 15th January 2016. Lidl CLGFC PPS Jnr B Play Off Ballinamore CS v St. Mary's SS Ballina @ Ballina Stephenities, 12th Jan 2016. Lidl CLGFC PPS Interprovincial Team Training, 10th January 2016. Glenamaddy/Williamstown LGF Club 2015 Victory Social Night, 8th January 2016. Lidl CLGFC PPS Interprovincial team v Roscommon @ Connacht GAA Centre. 3rd January 2016. Lidl CLGFC PPS 2016 U-14 A Final, St. Attracta's CS Tubbercurry v Presentation College Currylea Tuam, 16th December 2015. CLGFC & Connacht GAA Presentation Night 11th December 2015 in Royal TF Castlebar. 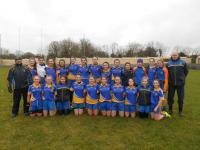 Roscommon LGFA Div 2 Minor Championship Final Kilbride v St. Mary's, 22nd November 2015. LGFA Jnr All Ireland SF Maigh Cuilinn v Dunboyne, 22nd November 2015. LGFA Jnr QF Maigh Cuilinn v Oisin's Manchester, 8th November 2015. LGFA Int Club QF Glenamaddy/Williamstown v Dunedin Connolly Edinburgh, 7th November 2015. St. Brendan's Ballygar v Killalan in U-14 League Final 8th November 2015. CLGFC Snr Club Final Kilkerrin/Clonberne v Kiltubrid @ Kilglass Gaels, 8th November 2015. CLGFC Int Final Glenamaddy/Williamstown Galway v Shannon Gaels Roscommon @ Clonberne Community Pitch, 25th October 2015. CLGFC Jnr Final Maigh Cuilinn Glaway v Padraig Pearses Roscommon @ Clonberne Community Pitch, 25th October 2015. CLGFC Senior SF Kilkerrin/Clonberne v Strokestown @ Pairc Sean Mac Diarmada Carrick-on-Shannon, 24th October 2015. CLGFC Senior SF Kiltubrid v Geevagh @ Pairc Sean Mac Diarmada Carrick-on-Shannon, 24th October 2015. Clann na nGael Roscommon Gaelic4Mothers + Others @ Blitz in Neaomh Mearnog Dublin, 17th October 2015. CLGFC Mnr Final Claregalway v St. Brigid's @ Ballyhaunis GAA Pitch, 17th October 2015. CLGFC Snr Pre Rd Kilkerrin/Clonberne v Carnacon @ Ballyhaunis GAA Pitch, 17th October 2015. CLGFC Mnr Pre Rd Claregalway v Swinford Killasser @ Davitt's Ballindine, 11th October 2015. Galway U-11 Development Teams at County Clare Blitz, 10th October 2015. CLGFC Int Club C'ship SF Glenamaddy Williamstown v Charlestown @ Claremorris GAA Pitch, 10th October 2015. CLGFC Jnr Club C'ship SF Maigh Cuilinn v Burrishoole @ Claremorris GAA Pitch, 10th October 2015. CLGFC PPS Gp 2 Jnr C, Abbey CS Boyle v Colaiste Pobail Acla @ An Sportlann Castlebar, 9th October 2015. CLGFC PPS 1st Yr Blitz @ Mountbellew GAA Pitch, 30th September 2015. LGFA Snr Club 7's, Kilkerrin/Clonberne games & runners up to Emyavle in Cup Final, 26th September 2015. 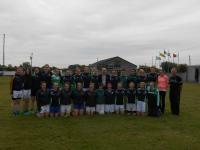 LGFA Snr Club 7's, Kilmovee Shamrock's Mayo @ Maomh Mearnog, 26th September 2015. CLGFC Int Club C'ship Pre Rd Shannon Gaels Roscommon v St. Francis Leitrim, 4th October 2015. Roscommon LGFA U-8 & U-10 Mini games at half time in Snr County Final, St. Dominic's v Four Roads, 3rd October 2015. Roscommon LGFA Snr County Final, Strokestown v Clann na nGael, 3rd October 2015. Roscommon U-16 Connacht B winners & All Ire B runners up Medal Presentation 3rd October 2015. 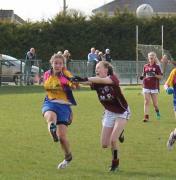 Roscommon LGFA Jnr County Final, Padraig Pearses v Ballinameen, 3rd October 2015. CLGFC PPS 1st Yr Blitz @ Tuam Stars, 30th September 2015. CLGFC PPS 1st Yr Blitz @ Swinford Amenity Park, 29th September 2015. CLGFC PPS Snr C Fixture, Ballinrobe CS v Balla SS, 28th September 2015. Kilbride U-6, U-8 & U-10 presentation, 27th September 2015. LGFA Snr Shield winners Kiltubrid v Foxrock Cabinteely Dublin @ Neaomh Mearnog Dublin, 26th September 2015. LGFA Int Shield 7's winners Glenamaddy/Williamstown v Milltown @ Neaomh Mearnog Dublin, 26th September 2015. CLGFC PPS 1st Yr Blitz @ Kilbride GAA Pitch, 24th September 2015. CLGFC PPS 1st Yr Blitz @ Foxford GAA Pitch, 24th September 2015. CLGFC PPS 1st Yr Blitz @ Ballinrobe CS Pitch, 23rd September 2015. LGFA Jnr Club 7's Cup winners Maigh Cuilinn v Austin Stacks Kerry, 26th September 2015. CLGFC PPS 1st Yr Blitz @ Furbo GAA Pitch Co. Galway, 22nd September 2015. CLGFC PPS 1st Yr Blitz @ Sean O'Heslins Ballinamore Co. Leitrim, 22nd September 2015. Mayo LGF Jnr County Final, Burrishoole v Kilmoremoy @ Swinford Amenity Park, 19th September 2015. Glenamaddy/Williamstown Galway Int Club Champions v Annaghdown, 12th September 2015. CLGFC Club League Final Kilkerrin/Clonberne v Dromahair @ Curry GAA Pitch, 16th August 2015. LGFA U-17 Dev Acamedy Mayo games @ Naomh Mearnog Portmarnock Dublin, 18th August 2015. LGFA U-17 Dev Acamedy Cup winners Mayo v Carlow @ Naomh Mearnog Portmarnock Dublin, 18th August 2015. LGFA TG4 Snr QF Galway v Cork in Gaelic Grounds Limerick, 15th August 2015. CLGFC Level 2 @ Connacht GAA Centre, 17th August 2015. 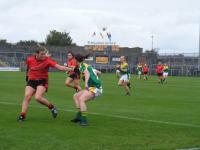 LGFA TG4 Snr QF Mayo v Kerry in Gaelic Grounds Limerick, 15th August 2015. CLGFC U-13 & U-15 Coordinator Training Evening @ Connacht GAA Centre, 13th August 2015. GLGFA Dev - Group Area 4 Blitz - hosted by Caherlistrane Club, 12th August 2015. 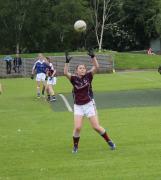 Galway Ladies Development â€“ Group Area 1 Blitz, 8th August 2015. Na Piarsaigh LGF Club in Galway held a Ready Steady Coach Programme, 6th August 2015. LGFA TG4 Snr Qualifier 2, Mayo v Tyrone in Sean O'Heslin's Ballinamore Co. Leitrim, 1st August 2015. LGFA U-16 C All Ire Final Leitrim v Wexford in Clane Co. Kildare 29th July 2015. LGFA U-16 B All Ire Final Roscommon v Waterford in MacDonagh Park Nenagh Co. Tipperary, 29th July 2015. LGFA Minor All Ire Final Galway v Cork in Semple Stadium Thurles, 3rd August 2015. LGFA TG4 Int Qualifier 2, Roscommon v Sligo in Sean O'Heslin's Ballinamore 1st August 2015. 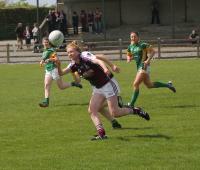 LGFA U-16 A All Ireland Final Galway v Kerry in Bruff Co. Limerick, 29th July 2015. Galway LGFA County Development U-11 Acamedy, 19th July 2015. 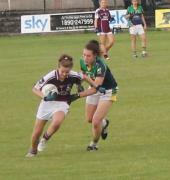 LGFA Mnr All Ire SF in Tubberclair Co. Westmeath Galway v Cavan, 18th July 2015. LGFA U-16 A All Ire SF Galway v Tyrone in Pairc Sean Carrick-on-Shannon Co. Leitrim, 15th July 2015. LGFA U-16 C All Ireland SF Leitrim v Armagh in Mullahoran Co. Cavan, 15th July 2015. LGFA U-16 B SF Roscommon v Cavan in Sean O'Heslins Ballinamore Co. Leitrim, 15th July 2015. TG4 CLGFC Senior Championship Final @ Elvery's McHale Park Castlebar, Galway v Mayo, 12th July 2015. CLGFC U-11 Mini games @ TG4 Championship Finals @ Elvery's McHale Pk Castlebar, 12th July 2015. TG4 CLGFC Intermediate Championship Final, Sligo v Leitrim @ Elvery's McHale Pk Castlebar, 12th July 2015. CLGFC G4M + O Blitz @ Connacht GAA Centre, 11th July 2015. CLGFC G4G Blitz @ Connacht GAA Centre, 11th July 2015. Kilbride G4G @ Blitz in Croke Park, 6th July 2015. TG4 LFGA Launch @ Croke Park, 6th July 2015. CLGFC Bursary Award winners receiving their Award @ Connacht GAA Centre, 3rd July 2015. CLGFC TG4 Snr & Int Championship Launch @ Connacht GAA Centre, 3rd July 2015. CLGFC U-16 A Final Galway v Mayo, 1st July 2015. CLGFC U-16 B Championship Final Roscommon v Leitrim, 1st July 2015. Glenamaddy PPS All Ire & Connacht A Champions Presentation, 28th June 2015. CLGFC TG4 Intermediate C'ship Leitrim v Roscommon, 28th May 2015. Roscommon Club Championship Launch, 26th June 2015. Sligo Snr Lge Final St. Nathy's v Geevagh, 27th June 2015. Galway Ready Steady Course June 2015. Galway LGF Dev 11 year academy, 22nd June 2015. St. Brendan's U-12 Shield champions v Glenamaddy/Williamstown, 18th June 2015. TG4 CLGFC Intermediate Championship Rd 2 Sligo v Roscommon in Markievicz Park Sligo, 20th June 2015. Glenamaddy U-16 Div 2 Shield champions v St. Brendan's, 19th May 2015. U-16 All Ire SF Leitrim v Derry, 13th June 2015. CLGFC Club 7's winners & runners-up @ Connacht GAA Centre on 13th June 2015. CLGFC games at club 7's @ Connacht GAA Centre on 13th June 2015. Some teams who participated at CLGFC Club 7's @ Connacht GAA Centre, 13th June 2015. Micky Harte visits Kilbride LGFC 12th June 2015. Tesco NL Div 1 Final Replay Galway v Cork @ O'Moore Pk Portlaoise, 16th May 2015. Aisling McGing U-21 Championship Roscommon v Mayo, 31st May 2015. CLGFC U-11 9's Blitz Development @ Connacht GAA Centre, Mayo team 30th May 2015. Tesco Team of the League in Croke Park, 29th May 2015. CLGFC U-14 B Final Mayo v Leitrim in Ml Glavey's Ballinlough, 24th May 2015. CLGFC U-14 A Final Galway v Roscommon in Ml Glavey's Ballinlough, 24th May 2015. MMI Interprovincial Tournament in Kinnegad, 23rd May 2015. All Ireland U-14 Blitz in Portlaoise, Mayo team, 16th May 2015. Galway Goalkeeping course 18th May 2015. CLGFC TG4 Intermediate C'ship Sligo v Leitrim, 17th May 2015. St. Croans U-Age Presentation, 15th May 2015. CLGFC U-16 C'ship, Roscommon v Galway 13th May in Menlough 2015. CLGFC Day 2 TY Convent of Mercy Roscommon hosting 1st Yr Blitz in Lisnamult, 13th May 2015. Tesco HomeGrown NL Div 3 Final, Sligo v Waterford, 9th May 2015. Tesco HomeGrown NL Div 1 Final, Galway v Cork, 9th May 2015. CLGFC Mnr B C'ship Final, Roscommon v Sligo @ Ballyhaunis GAA Pitch, 4th May 2015. CLGFC Mnr A C'ship Final, Galway v Mayo @ Ballyhaunis GAA Pitch, 4th May 2015. CLGFC Mnr C'ship, Galway v Roscommon, 4th April 2015. Tumble Jungle CLGFC PPS Gp 2 Jnr C Final, Ballyhaunis CS v Santa Maria Louisburgh, 27th April 2015. Tesco HomeGrown NL Div 1 SF, Galway v Dublin, 26th April 2015. CLGFC U-14 Championship Rd 5, Mayo v Sligo, 25th April 2015. CLGFC U-14 Championship Rd 4, Leitrim v Mayo, 18th April 2015. Roscommon U-Age Finals, 18th & 19th April 2015. Tumble Jungle CLGFC U-14 C Shield Final, St. Joseph's SS Foxford v Ballyhaunis CS, 16th April 2015. Sligo Intermediate Team Sponsership Launch, 14th April 2015. Galway Senior Team Sponsership Launch, April 2015. Tesco HomeGrown NL Div 1 Rd 7, Galway v Mayo in Ballina Spephenites, 12th March 2015. Mayo U-12 Mini Games with Mayo/Kerry @ Elvery's McHale Park, 29th March 2015. Tesco HomeGrown NL Div 1 Mayo v Kerry @ Elvery's McHale Park, 29th March 2015. Tesco HomeGrown NL Div 1 Galway v Monaghan @ Maheracloone, 29th March 2015. CLGFC U-14 C'ship Mayo v Roscommon @ Swinford Amenity Park, 28th March 2014. Tesco PPS Jnr B All Ire Final, Scoil Muire & Padraig Swinford v Scoil Criost Ri Portlaoise @ Tubberclair, 26th March 2015. Tumble Jungle CLGFC PPS U-14 B Final, St. Attracta's CS Tubbercurry v Glenamaddy CS, 25th March 2015. CLGFC Day 2 TY Programme @ St. Joseph's SS Castlebar, 24th March 2015. CLGFC U-14 C'ship Blitz Tournament Final, Galway v Mayo @ Connacht GAA Centre, 22nd March 2015. CLGFC U-14 C'ship Blitz Tournament, Galway, Leitrim, Mayo & Roscommon @ Connacht GAA Centre, 22nd March 2015. Tesco Snr C All Ire Final, Davitt College Castlebar v Cross & Passion College Kilcullen @ Pearse Park Longford, 21st March 2015. Tesco PPS Snr B All Ire Final, Scoil Bhride Mercy Tuam v Loreto SS St. Mll's Navan @ Pearse Park Longford, 21st March 2015. Tesco PPS Snr A All Ire Final, Glenamaddy CS in Kinnity Co. Offaly, 21st March 2015. Tumble Jungle CLGFC PPS U-14 C SF, Scoil Muire & Padraig Swinford v Ballyhaunis CS @ Connacht GAA Centre, 19th March 2015. Tesco HomeGrown NL Div 1, Galway v Kerry @ Tuam Stadium 14th March 2015. CLGFC Mnr C'ship Galway v Mayo @ Menlough, 14th March 2015. Tumble Jungle CLGFC PPS U-14 A Final, Holy Rosary Mountbellew v Presentation College Tuam @ Clonberne, 13th March 2015. Tesco HomeGrown PPS Jnr C All Ire SF, Scoil Muire & Padraig Swinford v Colaiste Oiraill Monaghan @ St. Lomans, 12th March. 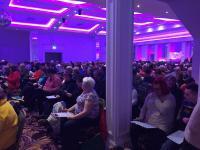 National Congress in Co. Clare 6th - 8th March 2015. Tesco HomeGrown Snr C All Ire SF Davitt College Castlebar v Colaiste Oiriall, Monaghan @ Carrick-on-Shannon, 7th March 2015. CLGFC Mnr C'shp Mayo v Roscommon @ St. Faithleach's on 8th March 2015. TJ CLGFC PPS Gp 2 Snr C Final St. Nathy's Ballaghaderreen v Calasanctius Oranmore @ Connacht GAA Centre, 5th March 2015. 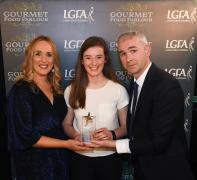 LGFA Connacht Club Person of the Year 2015, presentation @ Croke Park, 3rd March 2015. Tesco HomeGrown NL Div 1, Mayo v Tyrone @ Swinford Amenity Park, 1st March 2015. Tumble Jungle CLGFC PPS Snr C Final Davitt College Castlebar v Ballinamore CS @ Connacht GAA Centre, 25th February 2015. CLGFC G4G Training evening @ Ml Glavey's Complex, 24th February 2015. Tesco HomeGrown Div 1 Mayo v Cork @ Swinford Amenity Pitch, 1st February 2015. Tesco HomeGrown Div 1 Galway v Tyrone in Tuam Stadium 22nd February 2015. Tesco HomeGrown LGF NL Launch 24th January 2015. CLGFC TY Day 2 at Mount St. Michael Claremorris, 11th February 2015. CLGFC TY Day 2 @ Glenamaddy CS, 11th Feb 2015. Tumble Jungle CLGFC Jnr C Final, Scoil Muire & Padraig Swinford v St. Nathy's Ballaghaderreen, 10th Feb 2015. Tesco LGF NL Galway v Dublin in Tuam Stadium 8th February 2015. Tumble Jungle CLGFC Snr A PPS Final Glenamaddy CS v Presentation College Tuam, 3rd February 2015. Galway LGF FUNdamentals Coaching Courses 24th/25th January 2015. Tumble Jungle CLGFC Snr B PPS Final Scoil Bhride Mercy Tuam v St. Joseph's SS Foxford, 27th January 2015. CLGFC Umpires & Lines People Training @ Connacht GAA Centre, 25th January 2015. CLGFC Winter League Final, Mayo v NUIG @ Connacht GAA Centre, 25th Janaury 2015. CLGFC Level 3 @ Connacht GAA Centre, 25th January 2015. Tumble Jungle CLGFC Team v Munster All Ire Interpro Tournament Cup Final, 24th January 2015. Tumble Jungle CLGFC Team v Leinster All Ire Interpro Tournament, 24th January 2015. Tumble Jungle CLGFC Team v Ulster All Ire Interpro Tournament, 24th January 2015. Tumble Jungle CLGFC Team v Munster All Ire Interpro Tournament, 24th January 2015. Tumble Jungle CLGFC PPS Jnr A Final, Glenamaddy SC v St. Attractas CS - 23rd January 2015. 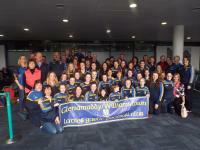 CLGFC Climb4Clare @ Connacht GAA Centre 7th December 2014. Tumble Jungle PPS Interpro training 7th December 2014. St. Dominics U-12 & U-14 Medal Presntation 2014. Mayo Mnr Lge Final Div 2 Swinford/Killasser v Knockmore, 15th November 2014. Tumble Jungle Snr C Playoff Davitt College Castlebar v Sacret Heart Westport, 3rd December 2014. Tesco HomeGrown Snr, Int & Jnr Club Launch @ Croke Park, 25th November 2014. Tesco HomeGrown Snr All Ire Club SF, Kilkerrin/Clonberne v Termon, 16th November 2014. Tumble Jungle CLGFC PPS 1st Day Trials @ Connacht GAA Centre, 15th November 2014. Swinford/Killasser U-10 end of season party, 10th November 2014. Mayo U-13 A County Final Swinford/Killasser v Westport, 1st November 2014. Roscommon U-14 Div 1A C'ship Final, St. Dominic's v Padraig Pearses, 5th October 2014. CLGFC Mnr Club Final, Kilkerrin/Clonberne v St. Nathy's, 1st November 2014. Tesco CLGFC HomeGrown Snr Club Final, Kilkerrin/Clonberne v Carnacon, 26th October 2014. 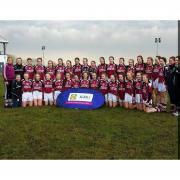 Galway 2013 U-16 County Final, Claregalway v Moycullen 26th October 2014. Tesco CLGFC HomeGrown Int Club Final, Clonbur v St. Michael's Sligo, 26th October 2014. Michael Glavey's Roscommon U-14 3 B County Champions, 25th October 2014. Tesco CLGFC HomeGrown Jnr Club Final, St. Ciaran's v Charlestown, 25th October 2014. 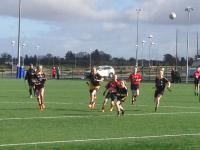 Kilbride G4M + Others Blitz Tournament @ Naomh Mearnog Dublin, 18th October 2014. 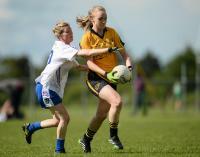 Tesco HomeGrown CLGFC Snr SF Carnacon v Geevagh @ Ballyhaunis GAA Pitch, 18th October 2014. 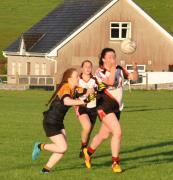 CLGFC MNR SF Kilkerrin/Clonberne v Clann na nGael @ Ballyhaunis GAA Pitch. 18th October 2014. 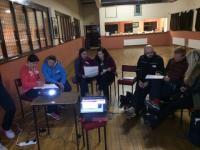 St. Cuan's Castleblakeney 2nd Day TY Programme, 17th October 2014. Tumble Jungle CLGFC 1st Yr Blitz @ An Sportlann Castlebar 16th October 2014. 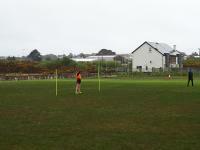 Tesco CLGFC Int Club SF, St. Michael's Sligo v Swinford/Killasser in Ballyhaunis GAA Pitch, 12th October 2014. 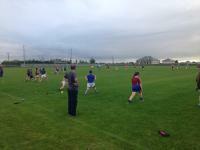 Tesco CLGFC Int Club SF, Clonbur v Oughterard Gaels in Ballyhaunis GAA Pitch, 12th October 2014. Tesco CLGFC Snr Club SF, Kilkerrin/Clonberne v St. Brigid's in Ml Glavey's Ballinlough, 11th October 2014. Tesco CLGFC Jnr Club SF, Charlestown v Owenmore Gaels in Ml Glavey's Ballinlough, 11th October 2014. 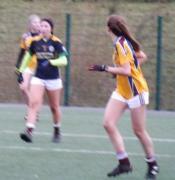 Tumble Jungle CLGFC 1st Yr Blitz in Mountbellew GAA Pitch, 9th October 2014. Tumble Jungle CLGFC 1st Yr Blitz @ Kilcoyne Park Tubbercurry, 8th October 2014. 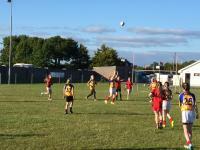 Tumble Jungle CLGFC 1st Yr Blitz @ Sean O'Heslins Ballinamore GAA Pitch, 7th October 2014. 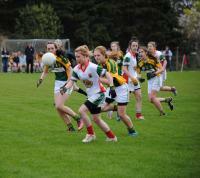 Tourlestrane Girls & Boys in county finals, October 2014. 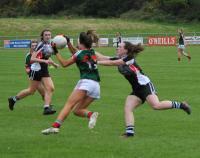 Mayo Mnr B C'ship Final Carnacon v St. Mary's @ Swinford Amenity Park, 5th October 2014. Tesco CLGFC Int Club Pre Rd, Clonbur v Eire Og in Clonberne Sportsfield, 4th October 2014. Tesco CLGFC Jnr Club Pre Rd, St. Ciarn's v Bearna in Clonberne Sportsfield, 4th October 2014. 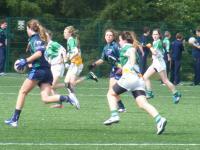 Tumble Jungle CLGFC 1st Yr Blitz @ Connacht GAA Centre 2nd October 2014. CLGFC Mnr Club Pre Rd, C.L. McHale Rovers v Mohill in Kilcoyne Pk Tubbercurry, 4th October 2014. 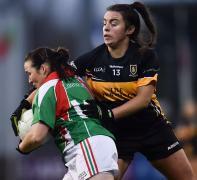 Kilbride G4M + Others Exhibition game in Croke Park, 28th September 2014. Tumble Jungle CLGFC PPS 1st Yr Blitz in Oughterard, 1st October 2014. Roscommon Jnr & Int Club Finals, 20th September 2014. Tumble Jungle CLGFC PPS 1st Yr Blitz in Kilbride, 30th September 2014. Tesco All Club Snr 7's winners, Kilkerrin/Clonberne Galway, 27th September. Tesco All Club Int 7's winners, Milltown Galway, 27th September. Tesco All Club Int 7's winners, Glenamaddy/Williamstown Galway, 27th September. 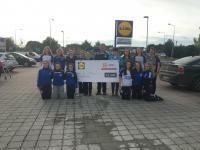 Tesco All Club Jnr 7's winners, Naomh Anna Leitir Moir Galway, 27th September. Mohill U-10's Exhibition game in Croke Park v St. Laurence's Kildare, 28th September 2014. Mayo U-16 A Championship Final Swinford/Killasser v Burrishoole, 24th sept 2014. Sligo Intermediate Club Final St. Michael's v Eastern Harps 20th September 2014. 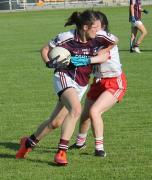 Galway Junior Club Final Bearna v Naomh Anna Leitir Moir, 20th September 2014. Sligo Senior Club Final Geevagh v St. Nathy's 20th September 2014. 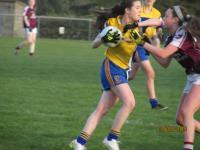 Galway Intermediate County Final, Clonbur v Annaghdown, 13th September 2014. 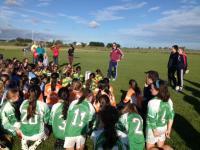 CLGFC U-13 & U-15 Development Blitz games @ Connacht GAA Centre, 13th September 2014. Mayo Intermediate Champions Swinford/Killasser v St. Brigid's 13th September 2014. CLGFC U-13 & U-15 Development Squad Teams @ Connacht GAA Centre, 13th Sept 2014. CLGFC Level 2 in Charlestown, 11th September 2014. Sligo Minor Club Final St. Nathy's v Eastern Harps, 7th September. 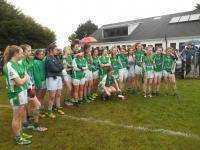 CLGFC Club League Final Kilkerrin/Clonberne v Geevagh, 7th September 2014. TG4 Int SF Roscommon v Fermanagh in Glennon Brothers Pearse Park Longford, 6th September 2014. 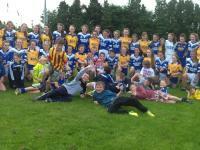 Roscommon U-13 & U-15 Dev Squad Training in Strokestown, 6th September 2014. 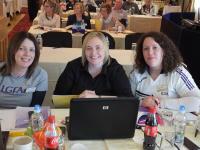 CLGFC Level 2 in Galway, 2nd September 2014. Galway U-15 Development Academy coaching session 30th August 2014. 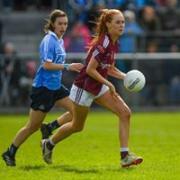 TG4 Snr Sf Galway v Dublin @ Cusack Park Mullingar, 30th August 2014. 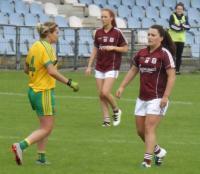 TG4 Int SF Leitrim v Down @ Cusack Park Mullingar, 30th August 2014. CLGFC 3rd night of Level 1 Galway & Mayo & Mayo Accelerate Programme @ Claremorris GAA Complex, 26th August 2014. 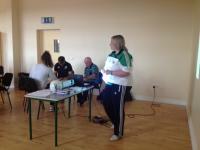 CLGFC County Pilot Accelerate Programme in Mayo, 26th August 2014. TG4 Snr QG Galway v Monaghan, 23rd August 2014. CLGFC Club League SF Castlebar Mitchels v Geevagh, 21st August 2014. U-16 A All Ireland SF Galway v Dublin @ Maote GAA Pitch Co. Westmeath, 17th August 2014. 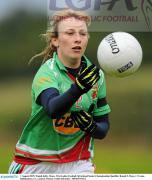 TG4 Snr Quarter Final Mayo v Cork @ O'Connor Park Tullamore Co. Offaly, 16th September 2014. 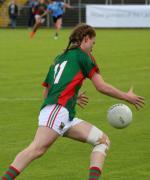 TG4 Snr Rd 2 Qualifiers Mayo v Westmeath, 10th August 2014. 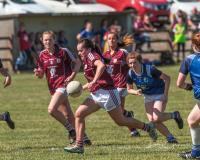 TG4 CLGFC Gaeltacht Club 7's @ Claregalway GAA Pitch, 10th August 2014. 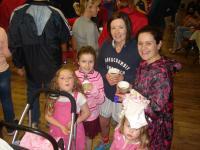 St. Brendan's Fun Run, 3rd August 2014. Minor A All Ireland Final, Galway v Cork @ St. Brendan's Park Birr Co. Offaly, 4th August 2014. CLGFC U-16 A Final Galway v Roscommon @ Fr. O'Hara Park Charlestown, 27th July 2014. CLGFC U-16 B Final Mayo v Leitrim @ Fr. O'Hara Park Charlestown, 27th July 2014. CLGFC Development Coaching with Ballyhaunis U-14 & U-16 Squad @ Connacht GAA Centre, 24th July 2014. U-14 A All Ire Final, Mayo v Kerry @ MacDonagh Park Nenagh, 20th July 2014. U-14 B All Ire Final, Galway v Waterford @ MacDonagh Park Nenagh, 20th July 2014. Galway U13 & U15 Development Academy Programme, 21st July 2014..
Galway v Dublin Mnr All Ire SF @ St. Brendans Park Birr Co. Offaly, 19th July 2014. Bus Eireann Feile Peil na nOg, all kinds of everything @ Connacht GAA Centre, 29th June 2014. Bus Eireann Feile Peil na nOg, Glencar Manorhamilton v Rathvilly Div 4 Cup Final @ Connacht GAA Centre, 29th June 2014. Bus Eireann Feile Peil na nOg, Shamrock Gaels & St. Mary's Sligo Div 3 Shield Final @ Connacht GAA Centre, 29th June 2014. Bus Eireann Feile Peil na nOg, Kilkerrin/Clonberne v Foxrock Cabinteely Div 1 Cup Final @ Connacht GAA Centre, 29th June 2014. Bus Eireann Feile Peil na nOg, Corofin v Kilkenny City Div 1 Shield SF @ Connacht GAA Centre, 29th June 2014. Bus Eireann Feile Peil na nOg, Div 2 Shield Final, St. Faithleachs v Old Mill @ Connacht GAA Centre, 29th June 2014. 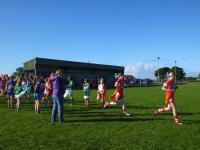 Annaghdown host U-10 Dev games, 12th July 2014. CLGFC G4G @ Connacht GAA Centre, 12th July 2014. 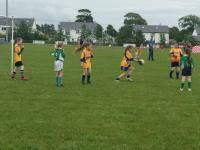 CLGFC U-12 Blitz @ Connacht GAA Centre, 12th July 2014. CLGFC G4M + Others Blitz @ Connacht GAA Centre, 12th July 2014. U-10 Development Games in Galway. 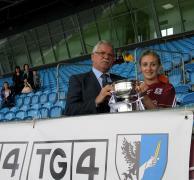 TG4 CLGFC Senior Final, Galway v Mayo @ Elvery's McHale Park Castlebar, 6th July 2014. 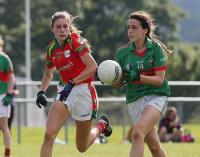 TG4 CLGFC Intermediate Final, Leitrim v Sligo @ Elvery's McHale Park Castlebar, 6th July 2014. Bus Eireann Feile Peil na nOg, St. Patrick's Dromahair v Curry Div 4 Shield Final 29th June 2014. Bus Eireann Feile Peil na nOg, Corofin v Fossa Div 1 Shield SF @ Connacht GAA Centre, 29th June 2014. Bus Eireann Feile Peil na nOg, Kilkerrin/Clonberne v Kilmoremoy Div 1 Cup SF @ Connacht GAA Centre, 29th June 2014. Bus Eireann Feile Peil na nOg, Dromahair v London 28th June 2014. Bus Eireann Feile Peil na nOg, Dromahair v San Fransisco in Mohill 27th June 2014. Bus Eireann Feile, Fun, Football & Friendships in Glenamaddy-Williamstown 27th-29th June 2014. Bus Eireann Feile Peil na nOg Mohill v London 27th June 2014. CLGFC TG4 Int & Snr Photo Shoot Launch @ Connacht GAA Centre, 23rd June 2014. Bus Eireann Feile Peil na nOg St. Brigids Mayo Feile games 27th - 29th June 2014. 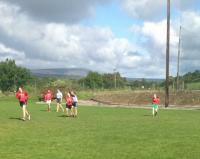 Bus Eireann LGFA Feile Peil na nOg St. Brendans v Dunboyne, 28th June 2014. Naomh Mhuire Oranmore G4G in Croke Park, 30th June 2014. 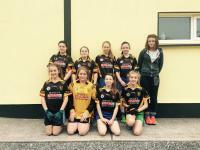 Bus Eireann LGFA Feile Peil na nOg Winners & Runners-Up @ Connacht GAA Centre, 29th June 2014. 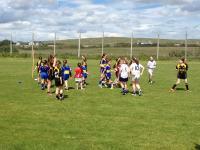 Kilconly host a Galway U-10 Development group games, 21st June 2014. St. Dominic's U-14 Div 1 leage winners, 18th June 2014. LGF U-14 B SF Galway v Laois, 14th June 2014. 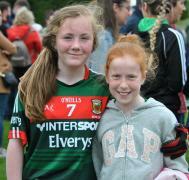 LGF U-14 A All Ireland SF Mayo v Dublin, 14th June 2014. ComÃ³rtas Peile na Gaeltachta 2014 @ Maigh Cuilinn. CLGFC Club 7's tournament winners & runners-up @ Connacht GAA Centre, 14th June 2014. U-10 Development games in Galway @ Menlough club, 14th June 2014. CLGFC Club 7's Tournament games @ Connacht GAA Centre, 14th June 2014. CLGFC Club 7's Tournament Teams Participating @ Connacht GAA Centre, 14th June 2014. CLGFC Club/National School Link Blitz, 13th June @ Fr. O'Hara Park Charlestown. Galway U-10 Dev games in St. James's 31sy May 2014. U-10 Galway Dev games in Kilkerrin Clonberne, 7th June 2014. Galway U-14 Dev games in Caherlistrane, 10th June 2014. Tesco HomeGrown Team of the League 2014 presentation, 3rd June in Croke Park. 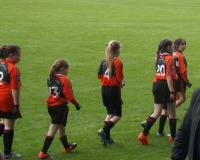 CLGFC U-12 9's @ Connacht GAA Centre, 31st May 2014. MMI Interprovincial Cup Final, Connacht v Ulster, 24th May 2014. 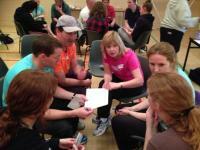 Galway Development: Ready Steady Coach Programme, 27th May 2014. 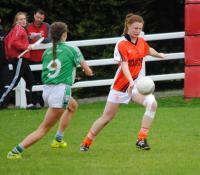 MMI Interprovincials Connacht v Ulster 24th May 2014. LGF President Pat Quill on Feile Peil na nOg NS visitation to Ardvarney NS Co.Leitrim, 21th May 2014. 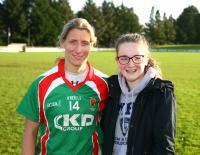 MMI Interprovincials Connacht v Leinster 24th May 2014. MMI Interprovincials Connacht v Munster 24th May 2014. LGF President Pat Quill on Feile Peil na nOg NS visitation to St. Manchan's NS Mohill Co. Leitrim, 21th May 2014. CLGFC U-14 Rd 4 C'ship. Mayo v Leitrim @ Swinford Amenity Park, 19th April 2014. Galway U-10 Development games, 17th May 2014..
CLGFC Referee Accelerate Programme final night @ Connacht GAA Centre, 20th May 2014. LGF President Pat Quill on Feile Peil na nOg NS visitation to Knockcroghy NS, 15th May 2014. 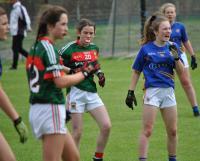 CLGFC U-16 C'ship Rd 2, Roscommon v Mayo @ Connacht GAA Centre, 16th May 2014. CLGFC Interprovincial Training Session @ Connacht GAA Centre, 16th May 2014. 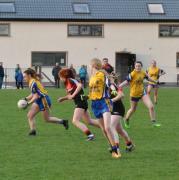 Charlestown Ladies Football Club with Connacht LGF Club-School Link, 9th May 2014. Convent of Mercy Roscommon 1st Yr Blitz, 8th May 2014. LGF President Pat Quill on Feile Peil na nOg NS visitation toThe Quay NS Ballina, Co. Mayo, 14th May 2014. LGF President Pat Quill on Feile Peil na nOg NS visitation to Behy NS Co. Mayo, 14th May 2014. Feile Peil na nOg Launch @ Connacht GAA Centre, 14th May 2014. Swinford/Killasser 2013 LGFC Dinner Dance. Tesco HomeGrown Div 2 NL SF, Galway v Meath, 27th April 2014. Galway Gp Area 5 - Ready Steady Coach Program, 10th May 2014..
LGF President Pat Quill on Feile Peil na nOg PPS visitation to Davitt College Colege Castlebar 13th May 2014. LGF President Pat Quill on Feile Peil na nOg PPS visitation to St. Joseph's SS Castlebar 13th May 2014. LGF President Pat Quill on Feile Peil na nOg PPS visitation to Scoil Bhride Mercy School 13th May 2014. LGF President Pat Quill on Feile Peil na nOg PPS visitation to Presentation College Currylea Tuam 13th May 2014. Feile Peil na nOg Programme Photo Shoot, 6th May 2014. 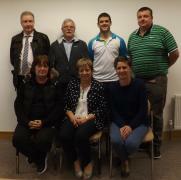 LGF President Pat Quill on Feile Peil na nOg PPS visitation to Claregalway College, 12th May 2014. LGF President Pat Quill on Feile Peil na nOg NS visitation to Claregalway NS, 12th May 2014. LGF President Pat Quill on Feile Peil na nOg NS visitation to Corrandulla NS, 12th May 2014. LGF President Pat Quill on Feile Peil na nOg PPS visitation to Glenamaddy CS, 12th May 2014. LGF President Pat Quill on Feile Peil na nOg NS visitation to Glenamaddy NS, 12th May 2014. 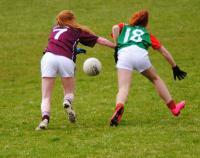 CLGFC U-14 B Final, Galway v Leitrim, 11th May 2014. 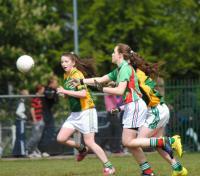 CLGGF U-14 A Final, Mayo v Roscommon 11th May 2014. Tesco HomeGrown Div 2 NL Final, Galway v Westmeath 10th May 2014. Tesco HomeGrown NL's Captains Day in Croke Park, 6th May 2014. 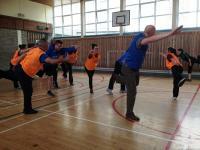 Galway Dev, Ready Steady Play Coach Programme in Annaghdown, 8th May 2014. CLGFC TY 2nd Day Programme @ Mount Saint Michael Claremorris, 2nd May 2014. CLGFC PPS U-14 C Shield Final, Colaiste Mhuire Ballygar v Scoil Mhuire & Padraig Swinford, 6th May 2014. CLGFC PPS U-14 C Cup Final, St. Nathys College Ballaghadrerreen v St. Attractas CS Tubbercurry, 1st May 2014. CLGFC Mnr A C'ship Final, Galway v Mayo, 5th May 2014. 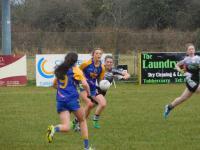 CLGFC U-16 C'ship 1st Rd, Roscommon v Galway 4th May 2014. CLGFC Mnr B C'ship Final, Leitrim v Roscommon, 5th May 2014. Tesco HomeGrown PPS Jnr B All Ire Final Ballinamore CS v Eureka Kells SS Co. Meath, 10th April 2014. Ready Steady Coach Program held in The Mattie McDonagh Centre, Ballygar 30th April 2014. Tesco HomeGrown NL Div 2 SF Galway v Meath, 27th April 2014. Galway Ready Steady Coach Program, 25th April 2014. Tecso HomeGrown NL Div 1 Round 7 Mayo v Monaghan, 6th April 2014. 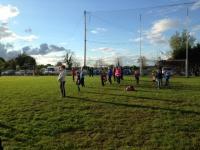 G4G County Blitz in Kilglass Gaels Co. Roscommon, 19th April 2014. Glenamaddy/Williamstown 1st ever T.Y. training & skills course, 22nd April 2014. CLGFC Interprovincial Training Session @ Connacht GAA Centre, 21st April 2014. CLGFC U-14 C'ship Rd 4, Galway v Sligo @ Tuam Stadium, 19th April 2014. CLGFC Mnr C'ship Rd 4, Galway v Sligo @ Tuam Stadium, 19th April 2014. 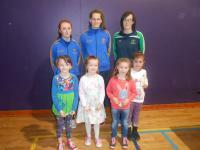 Aine & Niamh Tighe with Lynch & O'Connor Cups on a G4G club visitation to Kiltubrid, 12th April 2014. 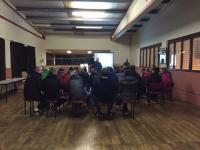 CLGFC Umpire Training Evening @ Connacht GAA Centre, 10th April 2014. CLGFC G4M + Others Training Evening @ Connacht GAA Centre 10th April 2014. CLGFC TY 2nd Day Programme @ Sacred Heart School Westport, 9th April 2014. Tesco HomeGrown NL Div 2 Round 6 Galway v Cavan @ Tuam Stadium, 6th April 2014. CLGFC U-14 C'sip Rd 2, Roscommon v Galway @ St. Croans Ballintubber Co. Roscommon, 5th April 2014. 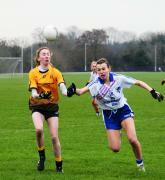 Tesco HomeGrown PPS Snr B All Ire Final, Glenamaddy CS v Scoil Chriost Ri Portlaoise, 5th April 2014. 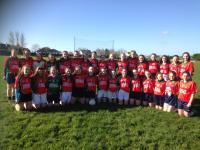 TescoGrown PPS Snr C All Ire Final, St. Josephs SS Foxford v Loreto SS St. Michael Navan, 4th April 2014. 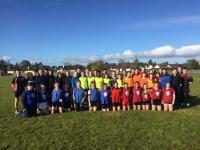 CLGFC TY 1st Day Programme @ Sacred Heart School Westport, 2nd April 2014. CLGFC PPS GP 2 Jnr C Final, Presentation College Headford v Santa Maria College Louisburgh, 3rd April 2014. Tesco HomeGrown Div 1 Rd 6 Mayo v Kerry, 30th March 2014. CLGFC U-14 C'ship Rd 1 Mayo v Galway in Davitts Ballindine, 1st April 2014. CLGFC Day 2 TY Programme @ Scoil Bhride Mercy Tuam, 27th March 2014. Tesco HomeGrown PPS Snr C All Ire SF, St. Josephs SS Foxford v Christ King Douglas, 18th March 2014. 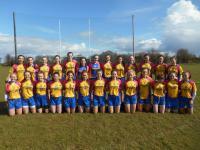 Tesco HomeGrown CS Jnr B All Ireland SF, Ballinamore PPS v Loeto Clonmel, 27th March 2014. CLGFC TY 2nd Day Programme @ St Josephs SS Foxford, 25th March 2014. 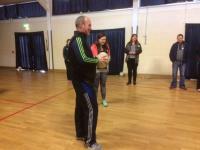 Ready Steady Coach Program for Kilkerrin/Clonberne, Dunmore MacHales, Glenamaddy/Williamstown and Glinsk, 24th March 2014. CLGFC TY Programme @ Scoil Mhuire & Padraig Swinford, 24th March 2014. Lynch Cup Final St. Pats v Cork IT @ Queens, 22nd March 2014. CLGFC U-14 Blitz Final Mayo v Roscommon @ Connacht GAA Centre, 23rd March 2014. CLGFC U-14 Blitz Mayo v Sligo @ Connacht GAA Centre, 23rd March 2014. CLGFC U-14 Blitz Roscommon v Galway @ Connacht GAA Centre, 23rd March 2014. CLGFC U-14 Blitz Galway v Sligo @ Connacht GAA Centre, 23rd March 2014. CLGFC U-14 Blitz Mayo v Roscommmon @ Connacht GAA Centre, 23rd March 2014. CLGFC U-14 Blitz Roscommon v Sligo @ Connacht GAA Centre, 23rd March 2014. CLGFC U-14 Blitz Galway v Mayo @ Connacht GAA Centre, 23rd March 2014. O'Connor Cup Final UL v Queens, 22nd March 2014. All Star Tour in Hong Kong 11th - 19th March 2014. CLGFC TY Programme at Mount Saint Michael Claremorris Co. Mayo, 19th March 2014. St. Brendans Ballygar 20 Years Celebrations 15th March 2014. O'Connor Cup Captains Launch @ Croke Park March 2014. CLGFC TY Programme at Scoil Chuimsitheach Chiarain An Cheathrua Rua Co. Na Gaillimhe 11th & 12th March 2014. Barna LGF Break for Ball @ Westport 8th & 9th March 2014. Tesco HomeGrown NFL Div 2 Rd 5 Galway v Westmeath 9th March 2014. 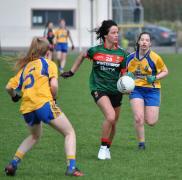 CLGFC Mnr C'ship Rd 2, Mayo v Roscommon 8th March @ Connacht GAA Centre. Sligo U-10's playing at half time in Tesco HomeGrown Div 3 NFL Rd 5, Sligo v Waterford 9th March 2014. CLGFC PPS U-14 B Final, St. Marys SS Ballina v Glenamaddy CS @ Connacht GAA Centre, 7th March 2014. CLGFC PPS U-14 A Final, Presentation College Tuam v Carrick-on-Shannon CS, 6th March @ Connacht GAA Centre. Tesco HomeGrown Div 3 Rd 4 Galway v Clare, 2nd March 2014. Tesco HomeGrown Rd 4 Div 1 Mayo v Loais, 2nd March 2014. 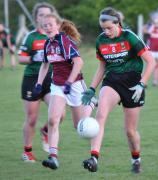 CLGFC Mnr C'ship Rd 1 Mayo v Galway 1st March 2014. CLGFC PPS Snr D Final St. Louis CS Kiltimagh v Colaiste na Coiribe Galway, 28th February 2014. CLGFC G4G Training @ Ballinlough GAA Centre, 27th February 2014. Tesco HomeGrown NFL Div 1 Rd 3 Mayo v Dublin, 16th February 2014. Tesco HomeGrown NFL Div 4 Roscommon v Limerick, 9th February 2014. National Development Day @ Croke Park, 8th February 2014. Tesco HomeGrown NFL Div 2 Galway v Down, 9th February 2014. Pat Shortt with Westport LGFC, 9th February 2014. CLGFC PPS Jnr C Final Presentation College Tuam v Mount St. Michael Claremorris @ Connacht GAA Centre, 7th February 2014. 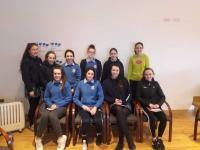 CLGFC TY Programme at Scoil Bhride Mercy Secondary School Tuam, 6th February 2014. Tesco HomeGrown NFL Div 4 Roscommon v Wicklow, 2nd February 2014. CLGFC PPS Snr C Final St. Josephs Secondary School Foxford v Davitt College Castlebar @ Connacht GAA Centre, 5th February 2014. Glenamaddy/Williamstown Annual Dinner Dance 1st February 2014. Sligo IT v NUI Galway @ Connacht GAA Centre, 3rd February 2014. CLGFC PPS Snr A Fianl Presentation College Athenry v Presentation College Tuam, 1st Janaury 2014. 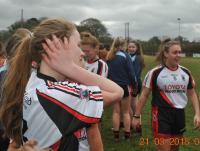 LGFA Fundamentals in IT Sligo 27th & 29th January 2014..
Glenamaddy CS host TY Programme, 22nd January 2014. Tesco HomeGrown LNFL Launch 24th January 2014. CLGFC Referee Assessor Training @ Connacht GAA Centre, 26th January 2014. CLGFC Level 2 @ Connacht GAA Centre, 26th January 2014. CLGFC PPS Interprovincial Team v Leinster in Cup Final @ St. Lomans Mullingar Co. Westmeath, 25th January 2014. CLGFC PPS Interprovincial Team v Munster @ St. Lomans Mullingar Co. Westmeath, 25th January 2014. CLGFC PPS Interprovincial Team v Ulster @ St. Lomans Mullingar Co. Westmeath, 25th January 2014. CLGFC PPS Interprovincial Team v Leinster @ St. Lomans Mullingar Co. Westmeath, 25th January 2014. Connacht GAA Bursary Awards Presentations @ Connacht GAA Centre, 18th January 2014. CLGFC PPS Interprovincial Panel v Roscommon @ Connacht GAA Centre, 18th January 2014. 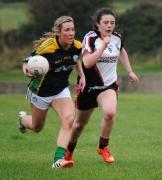 CLGFC PPS Gp 2 Snr C QF, St. Nathy's College Ballaghaderreen v An Ceathru Rua @ Connacht GAA Centre, 16th January 2014. CLGFC PPS Snr C SF, Davitt College Castlebar v Ballinamore Post Primary School @ Connacht GAA Centre, 16th January 2014. Tourlestrane GAA & LGF Dinner Dance of 2013. CLGFC PPS Interprovincial Panel v Mayo Snr Panel @ COE, 11th January 2014. 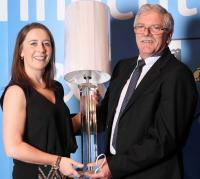 Connacht GAA Sportswriters Awards & CLGFC in McWilliam Pk Ht Claremorris, 10th January 2014. CLGFC PPS Interprovincial Panel Training @ COE, 3rd Jan 2014. Tesco Home Grown Snr All Ire Club C'ship Final, Carnacon v Donaghamoyne, 1st December 2013. CLGFC PPS Interprovincial Panel v Mayo Snr Selection @ Connacht GAA Centre 28th Dec 2013. CLGFC PPS Interprovincial Panel v Roscommon Int Panel, 14th December 2013 @ Connacht GAA Centre. CLGFC PPS Jnr A Final 2013/2014 Glenamaddy CS v Scoil Bhride Mercy Tuam, 12/12/2013. CLGFC PPS 2nd Day of Trials @ Connacht GAA Centre, 30th November 2013. Tesco HomeGrown Int Club Final, Claregalway v Thomas Davis Dublin, 30th November 2013. CLGFC PPS Jnr A Play Off Scoil Bhride Mercy Tuam v Convent of Mercy Roscommon, 28th November 2013..
Tecso HomeGrown All Ire Final Club Captains, 26th November 2013. Westport LGFA Presentation Night, 22nd November 2013. Sandra Early Memorial Bench unlailed 17th November 2013. CLGFC PPS 1st Trials @ Connacht GAA Centre 23rd Noveber 2013. 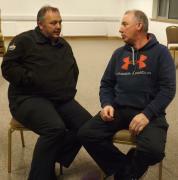 IT Sligo Coaching Programme with GAA & LGFA, 20th Nov 2013. Tesco HomeGrown Int All Ire Club C'ship SF, Claregalway v Boherbue, 17th November 2013. Tesco HomeGrown Snr All Ire Club C'ship SF, Carnacon v Mountmellick Sarsfields, 17th November 2013. CLGFC Referee Accelerate Training Programme at Connacht GAA Centre, 14th November 2013. TG4 LGF Young Player of the Yr Banquet, 9th November 2013. TG4 LGFC All Star Banquet, 9th November 2013. CLGFC 1st Mnr Club Final, Claregalway v Clann na Gael Roscommon, 3th November 2013. Roscommon U-14 teams Div 1, 2 & 3 championship winners & runners-up for 2013. Kilbride G4M + Others Naomh Mearnog 19th October 2013. Tesco HomeGrown CLGFC Jnr Club Final Shannon Gaels v Louisburgh 27th October 2013. Tesco HomeGrown CLGFC Int Club Final Claregalway v Tourlestrane 26th October 2013. Tesco HomeGrown CLGFC Snr Club Final Carnacon v Kilkerrin/Clonberne 26th October 2013. Claregalway U-14's Gold & Green panels v Corofin & Caherlistrane, 20th October 2013. Tesco CLGFC Club Snr SF Carnacon v St. Nathy's @ Kiltimagh GAA Pitch 13th October 2013. Tesco CLGFC Club Snr SF Kilkerrin/Clonberne v Aughawillan @ Paic Sean Mac Diarmada 13th October 2013. Tesco CLGFC Int Club SF Claregalway v Glencar/Manorhamilton @ Pairc Sean Mac Diarmada Ck-on-Shannon, 13th October 2013. Tesco CLGFC Jnr Club SF Shannon Gaels v Drumkerrin @ Pairc Sean Mac Diarmada Ck-on-Shannon, 13th October 2013. Tesco CLGFC Int Club SF Tourlestrane v Kilbride @ Ballinlough, 12th October 2013. Tesco CLGFC Jnr Club SF Louisburgh v Menlough-Skehana @ Ballinlough, 12th October 2013. CLGFC Mnr Club SF Clann na Gael Roscommon v Mohill @ Tulsk, 12th October 2013. Kick It Cuans Style, St. Cuan's College Castleblakeney Co. Galway TY Programme, 27th September 2013. CLGFC PPS 1st Yr Blitz @ Tubbercurry GAA Pitch 10th October 2013. 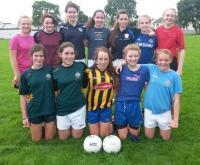 CLGFC PPS 1st Yr Blitz @ Mountbellew GAA Pitch 9th October 2013. CLGFC PPS 1st Yr Blitz @ Connacht GAA Centre 8th October 2013. Roscommon Jnr County Final, Shannon Gaels v St. Ciarans @ Tulsk GAA Pitch 6th October 2013. 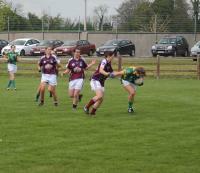 Galway Inr Club County Replay Claregalway v Clombur, 6th October 2013. Tesco CLGFA Snr Club Pre Rd, Carnacon v Strokestown, 6th October 2013. Tesco CLGFA Int Club Pre Rd, Tourlestrane v Moy Davitts, 6th October 2013. 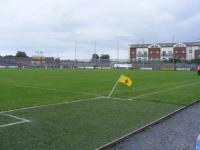 Galway Snr Club County Replay Kilkerrin/Clonberne v Corofin, 6th October 2013. Tesco CLGFA Jnr Club Pre Rd, Menlough/Skehana v St. Marys Sligo, 5th October 2013. CLGFC Mnr Club Pres Rd, Clann na Gael Roscommon v St. Nathys Sligo, 5th October 2013. Mayo Snr Club Co Final, Carnacon v Castlebar Mitchels @ Connacht GAA Centre, 4th October 2013. CLGFC PPS 1st Yr Blitz in Oughteraed Galway West, 2nd October 2013. Kilmacud Crokes U-14 Club 7's All Ire Champions Corofin of Galway v St. Val's Cork, 28th September 2013. CLGFC PPS 1st Yr Blitz in Pairc Sean Carrick-on-Shannon Co. Leitrim, 1st October 2013. TG U-14 Glenamaddy/Williamstown Galway playing at the half time exhibition games @ Croke Park, 29th September 2013. 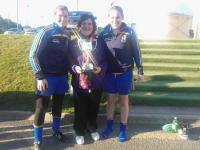 Tesco County Roscommon All Ireland Former Players 7's winners @ Naomh Mearnog Dublin, 28th September 2013. Tesco Snr Shield Club 7's winners Kilmovee Shamrocks Mayo @ Naomh Mearnog Dublin, 28th September 2013. 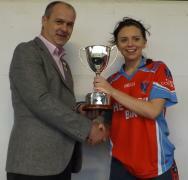 Tesco Int Club Cup 7's winners Glenamaddy/Williamstown Galway @ Naomh Mearnog Dublin, 28th September 2013. 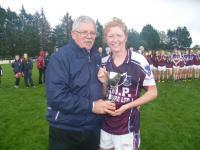 Tesco Jnr Club Cup 7's winners Naomh Anna Leitir Moir Galway @ St. Sylesters Dublin 28th September 2013. CLGFC U-13 & U-15 Dev Blitz, Galway, Mayo, Roscommon & Sligo @ Connacht GAA Centre 21st September 2013. 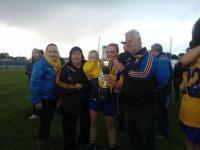 Leitrim Int Club County Final, Glencar Manor v Cloone, 14th September 2013. CLGFC Club Lge Final, Claregalway v St. Nathys, 10th September 2013. 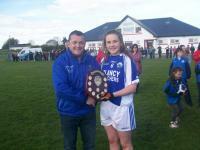 Glenamaddy/Williamstown welcome home their own Megan Heneghan captain of Galway Minor A All Ireland Champions 2013. Fog City Harps San Francisco North America Snr Champions 2013. St. Brendans Galway U-16 Lge winners over St. Furseys, 1st September 2013. Westport Division 1 Final Blitz winners @ Ardnaree, 31st August 2013. TG4 Snr SF Galway v Monaghan @ Kingspan Breffni Park Cavan, 31st August 2013. CLGFC Club Lge SF, Kilkerrin/Clonberne v St. Nathys, 27th August 2013. 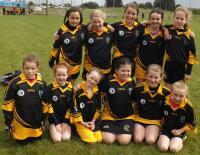 Leitrim U-10 in Fenagh on Saturday 24th August 2013. TG4 Int QF Sligo v Down at Clones Co. Monaghan, 24th August 2013. 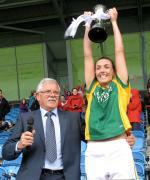 TG4 Snr QF Mayo v Kerry @ St. Brendans Park Birr Co. Offaly, 24th August 2013. Jason Doherty Ballyfeeney Rock presenting jerseys to Roscommon Intermediate Team for 2013 Championship. 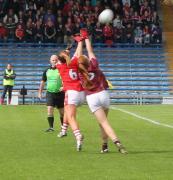 TG4 Snr All Ire QF Galway v Tyrone in Kingspan Breffni Pk Cavan, 17th August 2013. Minor A All Ireland Championship Final Replay, Galway v Dublin in Cusack Park Mullingar, Co. Westmeath, 14th August 2013. U-16 C All Ireland SF Sligo v Limerick @ Tuam Stadium, 10th August 2013. TG4 Junior Winners & Runners Up @ Gaeltacht 7's, 11th August 2013. TG4 Senior Winners & Runners Up @ Gaeltacht 7's, 11th August 2013. TG4 games @ Senior & Junior Gaeltacht 7's on 11th August 2013. TG4 Teams in Gaeltacht 7's, 11th August 2013 in Clonbur Co. Galway. U-16 A All Ireland Semi Final, Galway v Cork in Gaelic Grounds Limerick. 10th August 2013. Minor A All Ireland Final Galway v Dublin, 5th August 2013. CLGFC GrabYourWhistle Level 2, 1st August 2013. CLGFC Referee Accelerate Programme @ Connacht Council Centre, 23rd July 2013. 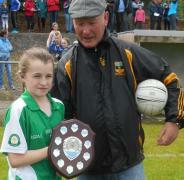 CLGFC Mini Games @ TG4 Finals, Burrishoole, Corofin, Kilkerrin/Clonberne & St. Nathys, 14th July 2013. TG4 LGF Championship Launch @ Croke Park, 15th july 2013. National Connacht Referees & Umpires Training @ Connacht GAA Centre, 10th July 2013. CLGFC TG4 Snr Final Galway v Mayo, 14th July 2013. CLGFC TG4 Int Final Sligo v Roscommon, 14th July 2013. CLGFC U-16 A Final Galway v Mayo, 13th July 2013. 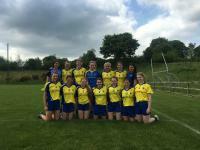 CLGFC U-16 B Final Roscommon v Leitrim, 13th July 2013. G4G, G4M + Others, U-12 Blitzs @ Connacht GAA Centre, 6th July 2013. TG4 CLGFC Int & Snr Press Release & Captains Photo Shoot evening, 2nd July 2013. 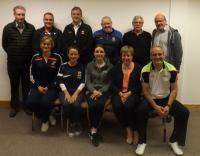 CLGFC Forum @ Connacht GAA Centre, 4th July 2013. TG4 CLGFC Intermediate Captains Photo Shoot evening @ Claremorris GAA Club House, 2nd July 2013. G4G last training session & presentations in Michael Glaveys 20th June 2013. Ita C. Hannon Sec CLGFC presenting sets of Cuchulainn jerseys to Barnacarroll NS girls & boys which she won, 5th June 2013. 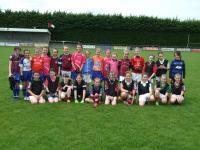 County G4G Blitz in Owenmore Gaels Co. Sligo on 18th June 2013. U-21 Aisling McGing All Ireland Final, Cork v Galway 16th June 2013. Connacht club 7's Winners & Runners-Up @ COE Bekan Claremorris 15th June 2013. Connacht club 7's games @ COE Bekan Claremorris 15th June 2013. Connacht 7's clubs @ COE Bekan Claremorris 15th June 2013. 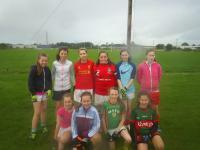 County G4G Blitz in Tuam on 9th June 2013. CLGFC U-12 9's Blitz @ Connacht Council GAA COE 8th June 2013. 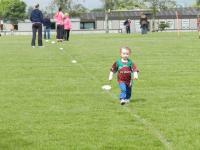 Coveys U-8 & U-10 of Westport @ Blitzes hosted by Swinford/Killasser 8th June 2013. Tesco HomeGrown/Irish Daily Star Connacht Players on Div 4 Team of the League 2013. Tesco HomeGrown/Irish Daily Star Connacht Players on Div 3 Team of the League 2013. Tesco HomeGrown/Irish Daily Star Connacht Players on Div 2 Team of the League 2013. Tesco HomeGrown/Irish Daily Star Connacht Players on Div 1 Team of the League 2013. GFF CLGFC Competition winners, 2nd place St. Attractas Community School Tubbercurry Co. Sligo, 29th May 2013. GFF CLGFC Competition winners, 1st place Scoil Mhuire Strokestown Co. Roscommon, 28th May 2013. GFF CLGFC Competition winners, 3rd place St. Nathys College Ballaghaderreen Co. Roscommon, 27th May 2013. Tumble Jungle Connacht Team v Ulster in MMI LGF Interprovincial Tournament Cup Final, 25th May 2013. Tumble Jungle Connacht Team v Munster in MMI LGF Interprovincial Tournament, 25th May 2013. Tumble Jungle Connacht Team v Leinster in MMI LGF Interprovincial Tournament, 25th May 2013. Tumble Jungle Connacht Team v Ulster in MMI LGF Interprovincial Tournament, 25th May 2013. Tumble Jungle CLGFC Interprovincial Session, 22nd May 2013. Michael Glaveys G4G Registration & Training, April & May 2013. Tesco HomeGrown LGF NL Div 2 Final, Kerry v Galway, 11th May 2013. Tesco HomeGrown LGF NL Div 1 Final, Cork v Mayo, 11th May 2013. Connacht U-14 B Final, Sligo v Roscommon, 12th May 2013. Connacht U-14 A Final, Galway v Mayo, 12th May 2013. 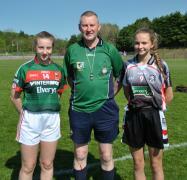 Tesco HomeGrown NL Div 1 & 2 Captains Day, Mayo & Cork, Galway & Kerry, Croke Park 7th May 2013. Tesco HomeGrown NLF Div 4, Roscommon v Limerick, 4th May 2013. Tesco HomeGrown NL Div 4 Captains Day, Roscoommon & Limerick April 2013. Tumble Jungle CLGFC Mnr A Final Galway v Mayo. 5th May 2013. Tumble Jungle CLGFC Mnr B Final Roscommon v Sligo. 5th May 2013. Castlebar Co. Mayo Town Council Civic Reception to Cora Staunton & Sonia O'Sullivan, 3rd May 2013. Leitrim Minor Team Sponsorship April 2013. Carrick-on-Shannon CS hostng PPS 1st Yr Blitz for Leitrim & Roscommon PPS, March 2013. Roscomm U-16 County Champions Shannon Gaels v Clann na Gael, 28th April 2013. Tesco HomeGrown NFL Div 2 SF, Galway v Kildare, 28th April 2013. Tesco HomeGrown NFL Div 1 SF, Mayo v Monaghan, 28th April 2013. CLGFC 2013 Scholarship Awards Presentation, 27th April 2013. CLGFC Club Recognion Awards 2012 Presentation Night, 27th April 2013. CLGFC Club League Clonbur v Breaffy, 26th April 2013. GFF CLGFC PPS Snr C Group 2 Final, Santa Maria Louisburgh v Mohill CC, 26th April 2013. GFF CLGFA PPS Gp 2 Jnr C Final, St. Cuans Casleblakeney v Mohil CC, 25th April 2013. Westport U-12 Lions & Tigers v Swinford/Killaser, 23rd April 2013. 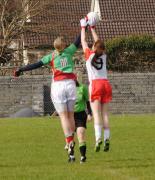 Tumble Jungle CLGFC Minor Championship Mayo v Leitrim, 2oth April 2013. Barna LGFA Cake Sale Fundraiser for NSAI in February 2013. Tumble Jungle CLGFC Rd 1 Minor Championship Leitrim v Sligo, 1st April 2013. Tesco HomeGrown NFL Div 1 Rd 7 Mayo v Dublin at Niamh Mearnog Dublin, 7th April 2013. Tumble Jungle CLGFC Minor Championship Rd 3 Galway v Mayo, 13th April 2013. CLGFC U-14 C'ship Rd 3 Galway v Leitrim, 13th April 2013. GFF Footballs been presented to Colaiste Chomcille Indreabhan by Ita C. Hannon Secretary CLGFC, 12th April 2013. GFF CLGFC PPS SNR D Final, Colaiste Chomcille Indreabhan v Colaiste Iasaigh Easkey, 12 April 2013. St. Michaels Galway City West been prenented with jerseys from Galway City Sports Partnership, 11th April 2013. GFF CLGFC PPS U-14 C Final, Presentation College Currylea Tuam v St. Attractas Community School Tubbercurry, 10th April 2013. CLGFC PPS TY Programme at Mercy College Sligo, 9th April 2013. GFF CLGFC PPS Group 2 Snr C SF Santa Maria Louisburgh v Abbey College Boyle, 9th April 2013. Tumble Jungle CLGFC Minor Championship Mayo v Sligo, 6th April 2013. CLGFC U-14 Championship Rd 2 Mayo v Roscommon, 6th April 2013. Roscommon U-14 Team & Management for 2013. William O'Halloran of Big Tree Westport presenting sponsored Jerseys to Breda Browne club chairperson for the senior team. Mayo U-14 Div 1 Club League Westport v Burrishoole 2013. Tesco HomeGrown NFL Div 1 Rd 4 Mayo v Laois, 3rd March 2013. Tesco HomeGrown PPS Jnr A All Ireland Final Glenamaddy CS v St. Pauls Bessbrook Armagh at Glenamaddy GAA Pitch, 20th March 2013. CLGFC Dec Squad Co-ordinators & Coaches Induction Evening at Connacht GAA COE, 19th March 2013. 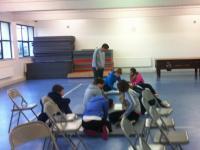 CLGFC PPS TY Programme at Scoil Chuimsitheach Chiarain An Cheathru Rua Co. Galway, 21st & 22nd March 2013. St. Brendan's Ballygar Co. Galway Team Bonding Day at Liliput Adventure Centre, 23rd March 2013. CLGFC U-14 Blitz Final Galway v Mayo at Connacht GAA COE, 24th March 2013. CLGFC U-14 Blitz Mayo v Roscommon at Connacht GAA COE, 24th March 2013. CLGFC U-14 Blitz Galway v Sligo at Connacht GAA COE, 24th March 2013. CLGFC U-14 Blitz Galway v Roscommon at Connacht GAA COE, 24th March 2013. CLGFC U-14 Blitz Mayo v Sligo at Connacht GAA COE, 24th March 2013. CLGFC U-14 Blitz Sligo v Roscommon at Connacht GAA COE, 24th March 2013. CLGFC U-14 Blitz Mayo v Galway at Connacht GAA COE, 24th March 2013. G4G Co-ordanitors & Coaches Training, 14th March 2013. CLGFC PPS TY Programme at Mount St. Michael Claremorris, 6th March 2013. CLGFC PPS TY Programme at Scoil Muire & Padraig Swinford, 5th March 2013. CLGFC PPS TY Programme at St. Attractas CS Tubbercurry, 28th February 2013. Tesco HomeGrown Connacht Club Person of the Year Yeonette O'Rourke St. Joseph's Aughavas Co. Leitrim, 28th Feb 2013 Croke Park. 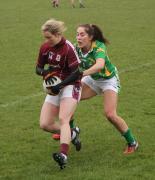 Tesco HomeGrown LGFA NL Div 2 Galway v Clare 3rd March 2013. GFF CLGFA PPS U-14 B Final, Glenamaddy CS v Scoil Bhride Mercy Tuam, 25th February 2013. Sligo IT Coaching Programme 21st February 2013. GFF CLGFA PPS Snr B Final, Ursuline College Sligo v Scoil Mhuire Strokestown, 120h February 2013. 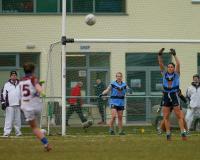 GFF CLGFA PPS Snr C Final, Scoil Bhride Mercy Tuam v Davitt College Castlebar, 19th February 2013. 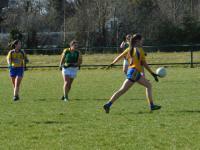 GFF CLGFA PPS Jnr C Final, Carrick-on-Shannon CS v Davitt College Castlebar 8th February 2013. 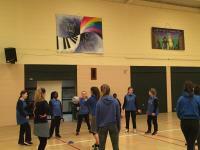 CLGFC PPS TY Programme at St. Joseph's Secondary Schoo Castlebar Co. Mayo, 1st February 2013. Tesco Home Grown LGF NL Div 2 Rd 2 Galway v Waterford 10th February 2013. Tesco Home Grown LGF NL Div IV Round 1 Roscommon v Louth, 3rd February 2013. Tesco Home Growm LGF NL Div 1 Round 1 Mayo v Tyrone, 3rd February 2013. 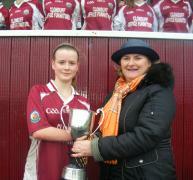 GFF CLGFA PPS Snr A Final, Presentation College Athenry v Mount St. Michael Claremorris 1st February 2013. 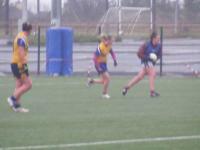 CLGFA GYW Level 2 27th January 2013. CLGFA GFF PPS Interprovincial Tournament 26th January 2013. Green Farm Foods CLGFA PPS Jnr A Final Glenamaddy CS v Scoil Bhride Mercy Tuam 25th January 2013. 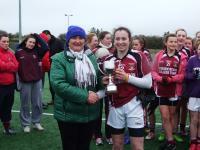 GFF CLGFA PPS Jnr B Final, Presentation College Athenry v St. Attractas CS Tubbercurry 24th January 2013. GFF CLGFA PPS Elite Stars v Mayo, 23rd January 2013. 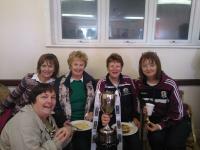 Mohill Co. Leitrim LGFA Club 2012 Presentation 19th January 2013. Green Farm Foods CLGFA PPS Jnr C SF, Davitt College Castlebar v Ursuline Sligo, 22nd January 2013. CLGFA GFF Elite Stars with Family, Teachers & Friends, 20th January 2013. CLGFA GFF PPS Elite Stars, 20th January 2013. 37 nominated players of Connacht Post Primary Schools receive GFF CLGFA Certs & Football on 20th January 2013. Green Farm Foods CLGFA PPS Snr A SF, Mt St. Ml Claremorris v Holy Hosary Mountbellew, 18th January 2013. Green Farm Foods CLGFA PPS Jnr C QF, Carrick-on-Shannon CS v St. Joseph's SS Foxford, 15th January 2013. Westport LGFA Club Dinner Dance 12th December 2012. Green Farm Foods CLGFA Elite Star Training at Ballyhaunis COE Co. Mayo on 29th December 2012. Green Farm Foods CLGFA Snr A PPS game, St. Attractas CS Tubbercurry v Presentatin College Tuam, 19th December 2012. St. Brendans Ballygar Co. Galway accepting a cheque after winning the Club Crusade Award 2012. Green Farm Foods CLGFA Snr Post Primary School game, Scoil Bhride Mercy Tuam v Gortnor Abbey Crossmolina, 11th December 2012. Green Farm Foods CLGFA PPS Elite Stars 2nd Day Trials, 9th December 2012. Westport LGFA Club Presentation 2012. 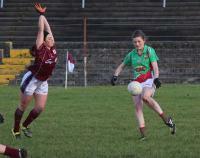 Green Farm Foods CLGFA Jnr PPS Jnr B SF, St. Attractas CS Tubbercurry v Holy Rosary Mountbellew, 3rd December 2012. Tesco Home Grown Snr All Ire Club C'ship Final Carnacon v Donaghmoyne, 2nd December 2012. Green Farm Foods CLGFA PPS Elite Stars 1st Day Trials, 1st December 2012. 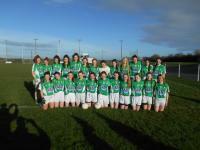 Green Farn Foods CLGFA PPS Jnr B SF, Presentation College Athenry v Ballinamore Post Primary Sch, 30th November 2012. Galway Primary School City Blitz re MBF, 27th November 2012. Green Farm Foods CLGFA PPS 1st Year Blitz at Kent Park St. Mary's Sligo, 27th November 2012. 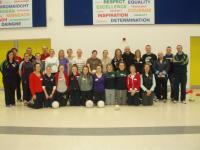 Connacht TEACH Promramme for Primary & Post Primary Schools in Ballinlough GAA Centre Co. Roscommon, 24th November 2012. Connacht U-15 Development Squad Blitz with Galway, Mayo and Roscommon at Ballyheane GAA Pitch Co. Mayo, 24th November 2012. Shannon Gaels Co. Roscommon Minor Champions v Kilglass Gaels 17th November 2012. Green Farm Foods Jnr B game Sacred Heart Westport v St. Joseph's Sec Sch Castlebar, 22nd November 2012. Tesco Intermediate Club All Ireland Semi Final Kilkerrin/Clonberne v Parnells London, 18th November 2012. Tesco Snr All Ireland Semi Final Carnacon v Inch Rovers 18th November 2012. Connacht U-13 Development Squad Blitz with Galway, Mayo & Sligo in Milltown GAA Pitch Co. Galway on 17th November 2012. Green Farm Foods CLGFA PPS 1st Year Blitz in Strokestown Co. Roscommon, 13th November 2012. 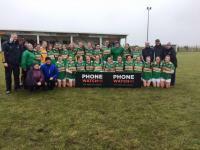 Mayo Mnr County Final, Moy Davitts winners v Westport 11th November 2012. 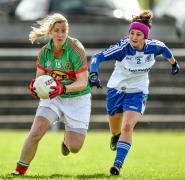 Cora Staunton 8th All Star Award winner at LGFA TG4 & O'Neills All Star Banquet 10th November 2012. 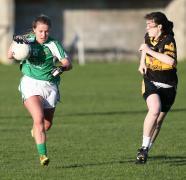 Nicola Ward Kilkerrin/Clonberne Galway Connacht Young Player of the Year 2012 at TG4 & O'Neills LGFA All Stars 10th Nov 2012. Claregalway Snr County Lge winners v Corofin, 4th November 2012. TESCO Connacht Jnr Club Final Annaghdownv St. Farnan's, 28th October 2012 in Elvery's McHale Park Castlebar. TESCO Connacht Int Club Final Kilkerrin/Clonberne v Hollymount, 28th October 2012 in Elvery's McHale Park Castlebar. TESCO Connacht Snr Club Final Carnacon v St. Brigids Kiltoom, 27th October 2012 in Tuam Stadium. 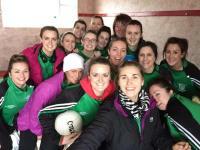 Green Farm Foods CLGFA PPS 1st Yr Blitz at Knockmore GAA Pitch 25th October 2012. Milltown Co. Galway at Tesco All Ireland Intermediate Club 7's in St. Sylvesters Dublin, 6th October 2012. Green Farm Foods CLGFA U-14 game Carrick on Shannon Community School v Scoil Mhuire Strokestwon , 16th Oct 2012. Green Farm Foods CLGFA PPS 1st Year Blitz at Cloonacool Co. Sligo, 24th October 2012. Green Farm Foods CLGFA PPS 1st Year Blitz at Islandeady Co. Mayo, 23rd October 2012. Westport U-8 & U-10 End of Season Celebrations 2012. Green Farm Foods CLGFA PPS 1st Year Blitz at Eire Ogl Co. Galway, 17th October 2012. Tesco Connacht Club Jnr SF Annaghdown v Annaduff at Tuam Stadium 13th October 2012. Green Farm Foods CLGFA PPS 1st Year Blitz at Rossaveal Co. Galway, 16th October 2012. Tesco Connacht Club Int SF St. Farnans v Boyle at Strokestown GAA Pitch, 14th October 2012. Green Farm Foods CLGFA PPS Jnr C game, Davitt College Castlebar v St. Joseph'd Sec Sch Foxford, 16th October 2012. Tesco Connacht Snr Club SF, St. Brigids Kiltoom v Geevagh at Strokestown GAA Pitch, 14th October 2012. 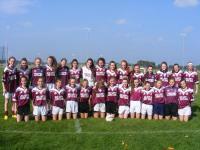 Green Farm Foods CLGFA PPS 1st Yr Blitz at Ballinrobe CS with Ballinrobe CS & Mount St. Ml Claremoorris 15th October 2012. St. Brendan's Ballygar Co. Galway U-14 B County Champions v Naomh Mhuire Oranmore, 13th October 2012. Tesco Connacht Int SF Kilkerrin/Clonberne v Clann na nGael Roscommon, 14th October 2012 at Mountbellew GAA Pitch Co. Galway. Tesco Connacht Int SF Hollymount v CT Gaels Sligo, 13th October 2012 at Ballyhaunis GAA Pitch Co. Mayo. TESCO Connacht Snr Club SF Carnacon v Corofin, 13th October in Tuam Stadium. Green Farm Foods CLGFA PPS game, Group Jnuir C Colaiste Phobail Acala v Presentation College Headford. Green Farm Foods CLGFA PPS 1st Yr Blitz in Oranmore 9th October 2012. Kilmovee Shamrocks Co. Mayo Tesco Senior Shield 7's All Ireland Club Champions, 6th October 2012. Glinsk Co. Galway Tesco Junior All Ireland Club 7's Champions, 6th October 2012. Green Farm Foods CLGFA PPS Jnr C, Davitt College Castlebar v St. Louis CS Kiltimagh, 5th October 2012. Hollymount Mayo Intermediate Club Champions v Moy Davitts, 29th September 2012. 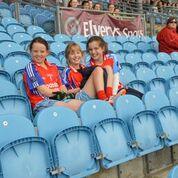 Four Foads LGF Club at TG4 All Ireland Finals in Croke Park, 7th October 2012. Carrick-on-Shannon Community School & Ursuline College Sligo play U-14 C game in GFF CLGFA PPS competition, 28th September 2012. 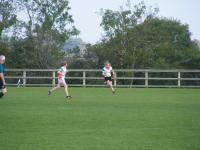 GFF CLGFA PPS 1st Yr Blitz at Davitt College, Davitt College Castlebar & Balla Sec Sch, 3rd October 2012. St. Brendans Ballygar Galway Junior D County Champions v St. James, 29th September 2012. 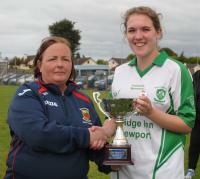 Westport Div 2 League Champions v Swinford/Killasser, 30th September 2012. TESCO Connacht Int Club Preliminary Rd, CT Gaels v Bornacoola, 29th September 2012. TESCO Connacht Jnr Club Preliminary Rd, Boyle v St. Brigids Mayo, 29th September 2012. Green Farm Foods CLGFA Jnr PPS game, Scoil Mhuire Strokestown v Dunmore Community School, 28th September 2012. Carrick-on-Shannon Community School v St. Nathys Ballaghaderreen in Green Farm Foods CLGFA PPS Jnr C game, 21st Septembe2 2012. St. Farnan's Sligo Junior County Champions, v St. Mary's 22nd September 2012..
Green Farm Foods CLGFA PPS Launch in Hannons Hotel Roscommon, 25th September 2012. Green Farm Foods CLGFA PPS Junior A, Glenamaddy Community School v Scoil Bhride Tuam, 18th September 2012. Connacht U-12 Blitz in Kilcoyne Park Tubbercurry Co. Sligo, Galway, Leitrim, Mayo & Sligo, 15th September 2012. 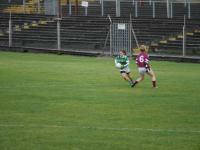 Galway Junior County Final, Annaghadown v Naomg Anna Leitir Moir, 16th September 2012. Leitrim Junior County Champions Annaduff v St. Joseph's Aughavas, 16th September 2012. Green Farm Foods CLGFA PPS Senior C Group 2, Santa Maria Louisburgh v Presnetation College Headford , 17th September 2012. Mayo Senior County Club Final, Carnacon v Kilmovee Shamrocks at Mayo Gaels GAA Pitch, 15th September 2012. Connacht Level 1, Michael Glavey's GAA Club House Ballinlough Co. Roscommon, 15th September 2012. Green Farm Foods CLGFA PPS Senior A, St. Attractas Tubbercurry v St. Joseph's Castlebar, 14th September 2012. 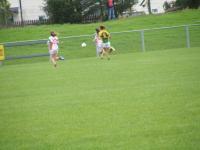 Leitrim Intermediate County Final, Bornacoola v St. Francis 8th September 2012. Green Farm Foods CLGFA PPS Senior C, Davitt College Castlebar v Dominican College Galway, 12th September 2012. TG4 Senior Championship Semi Final, Galway v Kerry 1st September 2012. TG4 Intermediate Championship Play Off, Sligo v Waterford 1st September 2012. Connacht Club League Final, Kilkerrin/Clonberne Galway v Kilmovee Shamrocks Mayo 26th August 2012. TG4 Intermediate Championship Play off Sligo v Cavan, 25th August 2012. 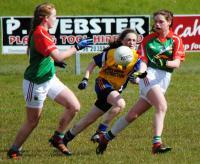 U-16 C All Ireland Championship Final, Leitrim v Clare 25th August 2012. 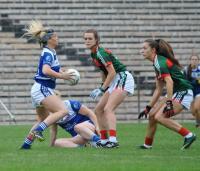 TG4 Senior Championship Quarter Final, Mayo v Monaghan Dr. Hyde Park Roscommon, 25th August 2012. Westport Family Fun Day, 19th August 2012. TG4 Snr All Ireland Championship Quarter Final, Galway v Clare 18th August 2012. 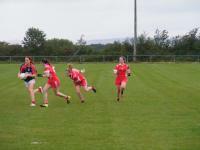 U-16 B All Ireland Championship Semi Final, Sligo v Cavan 11th August 2012. U-16 A All Ireland Championship Semi Final, Galway v Tyrone 11th August 2012. 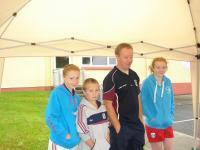 ECC Connacht Gaeltacht Snr 7's Tournament, An Fhairche, Cill Chomain & Tuar Mhic Eadaigh, 12th August 2012. ECC Connacht Gaeltacht Snr 7's Tournament Final, An Fhairche v Tuar Mhic Eadaigh, 12th August 2012. 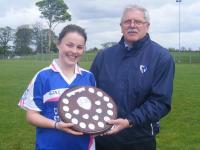 ECC Connacht Gaeltacht Jnr 7's Tournament Final, Naomh Anna Leitir Moir v Micheal Bheathnacht 12th August 2012. 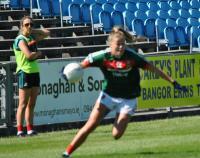 TG4 2nd Rd Snr Championship Qualifiers Mayo v Tyrone 11th August 2012. St. Brendan's Ballygar Co. Galway 4th Annual 10k Fun Run/Walk, 5th August 2012. U-14 A All Ireland Championship Final, Mayo v Cork at St. Brendan's Park Birr Co. Offaly 30th June 2012. Minor B All Ireland Championship Final, Roscommon v Clare St. Brendan's Park Birr Co. Offaly 6th August 2012. Connacht U-16 B Championship Final, Sligo v Roscommon 28th July 2012. Connacht U-16 A Championship Final, Galway v Mayo 28th July 2012. Minor B All Ireland Championship Semi Final, Roscommon v Cavan 21st July 2012. Minor A All Ireland Championship Semi Final, Mayo v Tyrone 21st July 2012. Connacht U-16 Championship Rd Mayo v Roscommon, 20th July 2012. 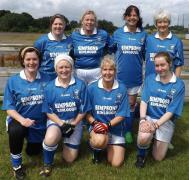 Mocha Beans Westport sponsor Ladies Snr team, 13th July 2012. Shannon Gaels Co. Roscommon Feile Team 2012. Connacht U-16 Championship Round 4, Roscommon v Sligo 13th July 2012. Connacht U-16 Championship Round 4, Mayo v Galway 12th July 2012. Burrishoole Co. Mayo U-11 Cub/County Blitz, 23rd June 2012. TG4 Championship Launch in Croke Park, 9th July 2012. Ballyhaunis & Dunmore MacHales Mini Games 8th July 2012. TG4 Connacht Senior Championship Final, Galway v Mayo 8th July 2012. 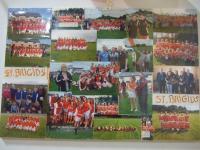 CLGFA Presentation to Alan Rowe Tumble Jungle Ballina Co. Mayo, 8th July 2012..
Curry & Eire Og Mini Games 8th July 2012. Gillespie's Tubbercurry Connacht Intermediate Championship Final, Sligo v Roscommon 8th July 2012. U-14 C All Ireland Final, Sligo v Clare 30th June 2012. Kilkerrin/Clonberne U-12's mini game at half time in U-14 C All Ire Final, 30th June 2012. Claregalway Feile Team June 2012. Connacht U-16 Championship Rd 2, Mayo v Sligo 27th June 2012. 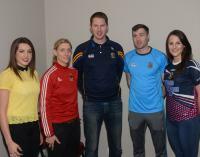 Gillespie's Tubbercurry Connacht Intermediate Championship Launch 26th June 2012. 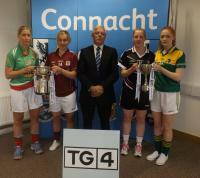 TG4 Connacht Senior Championship Launch 26th June 2012. 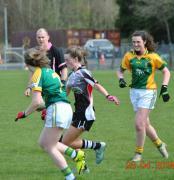 Gillespie's Tubbercurry Connacht Intermediate Championship Semi Final, Sligo v Leitrim 24th June 2012. Gillespie's Tubbercurry stocking the Sligo Ladies Pink Jersies. Westport at Connacht Jnr 7's, 16th June 2012. Westport U-12 Tigers County League Champions 19th June 2012. St. Nathy's Connacht Snr Cup runners-up v St. Bridids Kiltoom in 7's, 16th June 2012. Westport U-12 Lions, 17th June 2012. Mayo v Donegal in challenge at Ballintubber Co. Mayo, 17th June 2012 . Westport U-16 Division 1 County League Champions, 16th June 2012. Connacht Snr, Int & Snr 7's,16th June 2012. O'Connors Super Valu Westort sponsor Westports U-8 & U-10 teams 2012. Mayo County Board Launch with Supermacs & CBE for U-14 & Senior teams, 1st June 2012. St. Michaels Roscommon U-12 at Connacht 9 a side Club Dev Blitz Tournament at McHale Park Castlebar Co. Mayo, 9th June 2012. Westport U-12 at Connacht 9 a side Club Dev Blitz Tournament at McHale Park Castlebar Co. Mayo, 9th June 2012. St. Dominics Roscommon U-12 at Connacht 9 a side Club Dev Blitz Tournament at McHale Park Castlebar. Mayo, 9th June 2012. 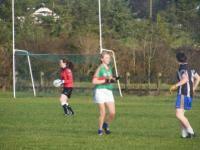 Connacht G4M + Others Blitz Tournament, 10th June 2012 in Ballyhaunis GAA Pitch Co. Mayo. Connacht U-12 9 a side Club Dev Blitz Tournament at McHale Park Castlebar Co. Mayo, 9th June 2012. MMI Interprovincial Tournament All Ireland Final, Connacht v Leinster 2nd June 2012. Westport U-8's & U-10's at Kilmovee Blitz, 2nd June 2012. MMI Interprovincial Tournament Connacht v Munster, Ulster & Leinster, 2ns June 2012. 2012 All Star Trip in Toronto, May 2012. 2010 v 2011 All Star Match in Toronto 26th May 2012. Westport U-14 Feile Team Funderaiser, 25th May 2012. BGE Team of the League Div 2 & 3, 22nd May 2012. Westport U-14 Feile Team in Boot Camp West 20th May 2012. Tumble Jungle PPS Jnr C Gp 2 Final 21st May 2012, Jesus & Mary Gortnor Abbey Crossmolina v St. Joseph's Sec Sch Charlestown. Bord Gais Energy Div 3 All Ireland Final Replay, Leitrim v Westmeath 19th May 2012. Ladies GAGA Programme in Sligo IT 2012. St. Joseph's Aughavas 2011 Presentation Night, 5th May 2012. Bord Gais Energy Captains Day in Croke Park, 9th May 2012. Bord Gais Energy Div 3 All Ireland Final, Leitrim v Westmeath 12th May 2012. Leitrim U-14 B Connacht Champions v Galway 13th May 2012. Bord Gais Energy Div 2 All Ireland Final, Mayo v Galway 12th May 2012. 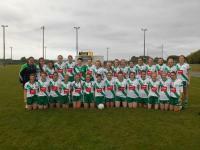 Mayo U-14 A Connacht Champions v Roscommon 13th May 2012. Westport U-8's & U-10's teams of 2012. Tumble Jungle Connacht PPS U-14 C Final, 10th May 2012, Dunmore Community School v St. Joseph's Secondary School Foxford. Sligo Coaching Scheme Programme 2012. Roscommon U-16 Division 1B Championship Final 2012. Caltra Cuans Galway U-16 Division 2 League winners 2012. John Miller Connacht Minor A Final, 5th May 2012 Mayo v Galway. John Miller Connacht Minor B Final, 5th May 2012 Roscommon v Sligo. Carrick-on-Shannon Community School 1st year blitz 14th March 2012. Bord Gais Energy Div 2 SF, 29th April 2012 Mayo v Kerry. Kilmovee Shamrocks LGFA Dinner Dance. Tumble Jungle Connacht PPS U-14 B Final, 26th April 2012, Ballinamore Post Primary School v Carrick-on-Shannon Community School. John Miller Connacht Mnr C'ship Rd 4 21st April 2012, Mayo v Roscommon. Tumble Jungle Connacht PPS U-14 C QF, 20th April 2012, Dunmore Community School v Scoil Muire & Padraig Swinford. 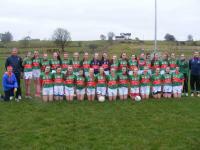 Tesco PPS Senior All Ireland Semi Final 1st March 2012, Holy Rosary Mountbellw v Loreto Omagh Co. Tyrone. Connacht PR Workshop in Connacht GAA Offices Ballyhaunis 8th March 2012. Tesco PPS Junior C All Ireland Semi Final 16th March 2012, Dunmore Community School v Loreto Milford Co. Donegal. Connacht Tumble Jungle PPS Junior C Final 7th February 2012, Dunmore Community School v Carrick-on-Shannon Community School. Connacht Tumble Jungle PPS Junior B Final 11th February 2012, St. Brigids Convent of Mercy Tuam v Presentation College Athenry. Tesco PPS Senior Captain's Day in Croke Park 2012. Connacht PPS All Star Banquet, 15th January 2012. Connacht Club Recognition Awards 2011 Presentation Night 15th January 2012. Connacht Tumble Jungle PPS Junior A Final, 10th February 2012, Glenamaddy Community School v Convent of Mercy Roscommon. 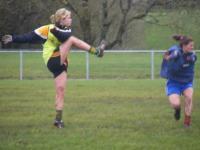 Connacht Tumble Jungle PPS Senior C Final 1st February 2012, Ursuline College Sligo v Ballinamore Post Primary School. Connacht Tumble Jungle PPS Senior B Final 24th January 2012, Presentation College Athenry v Scoil Mhuire Strokestown. Connacht Tumble Jungle PPS Senior C Quarter Final 12th January 2012, Ursuline College Sligo v Scoil Muire & Padraig Swinford. Tumble Jungle Connacht PPS 1st year blitz 13th March 2012 in Eire Og Galway. Connacht Tumble Jungle PPS Senior A Final 30th January 2012, Holy Rosary Mountbellew v Mount St. Michael Claremorris. Tumble Jungle Connacht PPS 1st year blitz in Parke Co. Mayo on 21st March 2012. Tumble Jungle Connacht PPS Snr C Gp 2 Final Replay 17th April in Ballinlough, St. Cuans Castleblakeney v St. Joseph's Foxford. Tumble Jungle Connacht PPS U-14 A Final 13th March 2012, Sacred Heart School Westport v Convent of Mercy Roscommon. 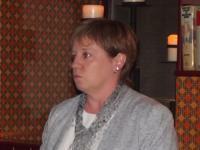 Tesco Connacht Club Person of the Year 2012, 15th March in Croke Park, Maura Burke Dunmore MacHales. Tumble Jungle Connacht PPS Snr C Group 2 Final, 23rd March 2012 in Ballinlough, St. Cuans Castleblakeney v St. Joseph's Foxford. Tumble Jungle Connacht PPS 1st year blitz in Mountbellew 27th March 2012. Connacht Sports Writers Awards 2011, in TF Royal Hotel Castlebar 17th February 2012. Bord Gais Energy Rd 6 18th March 2012 in Fr. Gibbons Park Claremorris, Mayo v Kerry. National Congress in Breaffy House Hotel Castlebar Co. Mayo, 9th, 10th & 11th March 2012. Connacht U-14 Blitz Tournament 25th March 2012 in St. Croans Ballintubber. Connacht PPS Team at Interprovincials 21st January 2012 in Kinnegad Co. Westmeath. Tumble Jungle Connacht PPS 1st year blitz in St. Farnan's 7th March 2012. St. Farnan's U-Age Presentation for 2011. Connacht Post Primary Schools 2nd Day All Star Trials for 2012 Season, Ballinlough Co. Roscommom 4/12/11. Connacht U-15 Development Squad Blitz, Ballyheane GAA Pitch Co. Mayo, 3/12/11.